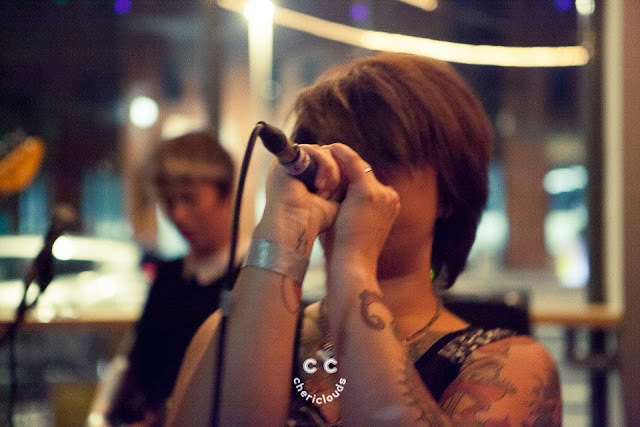 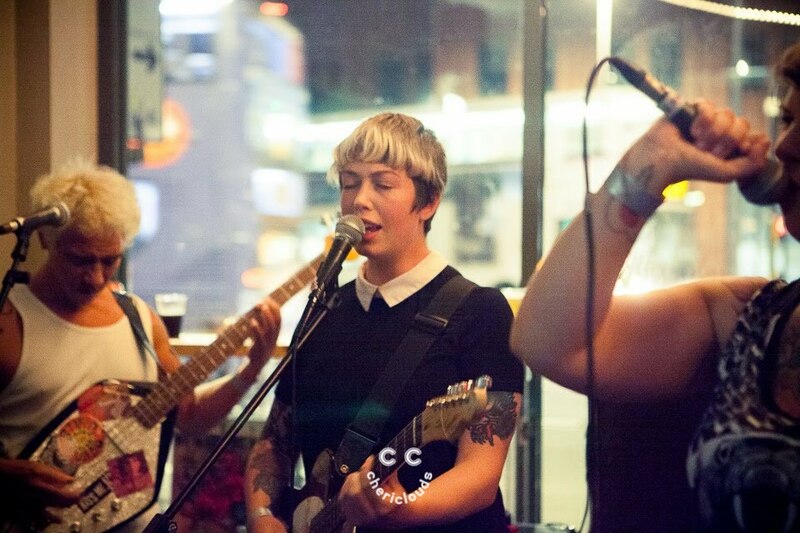 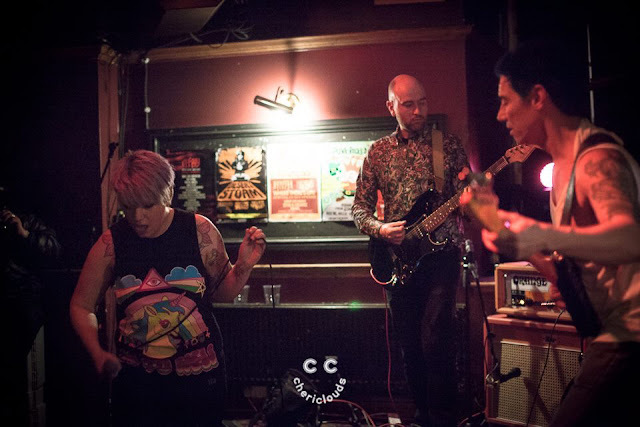 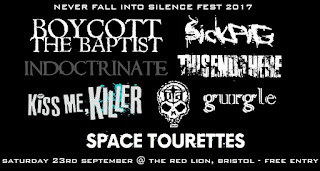 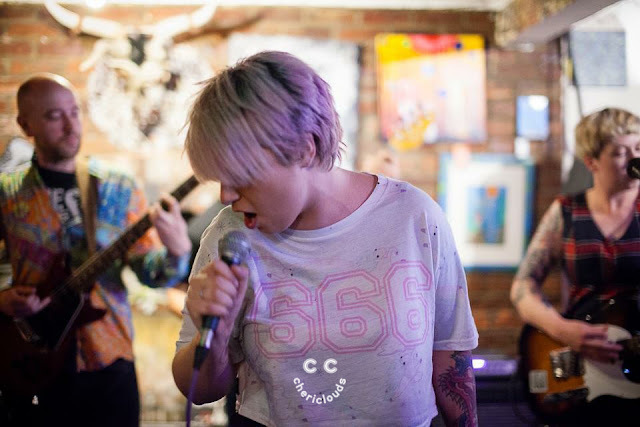 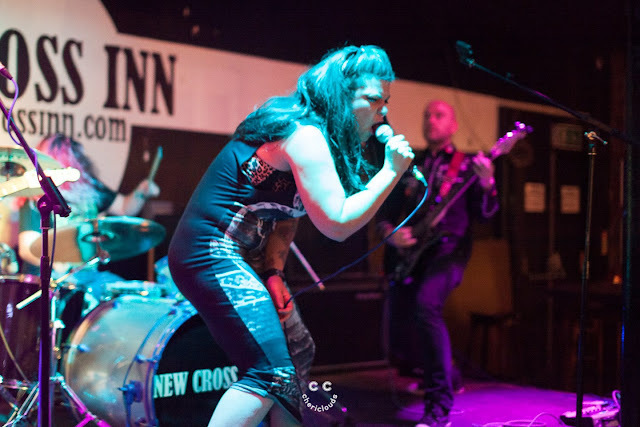 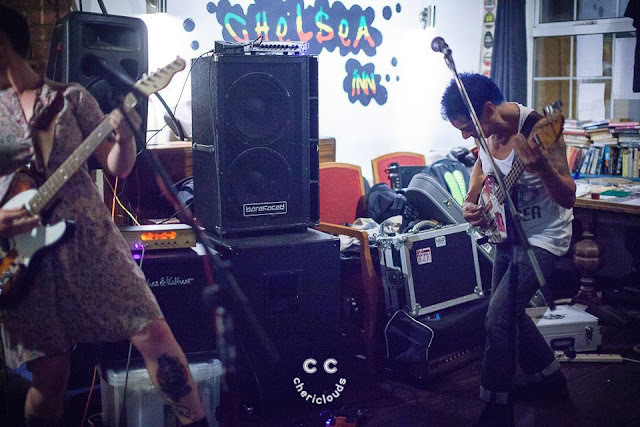 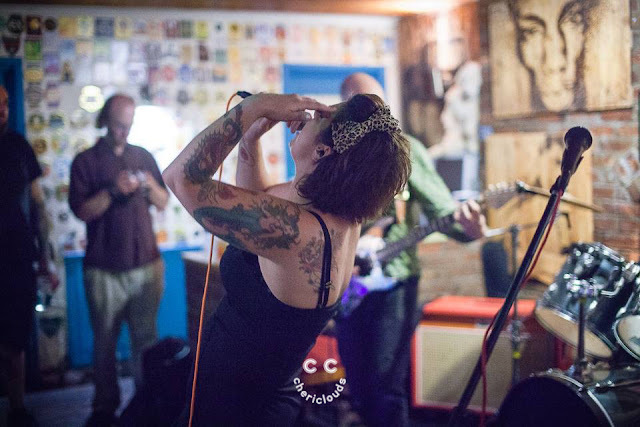 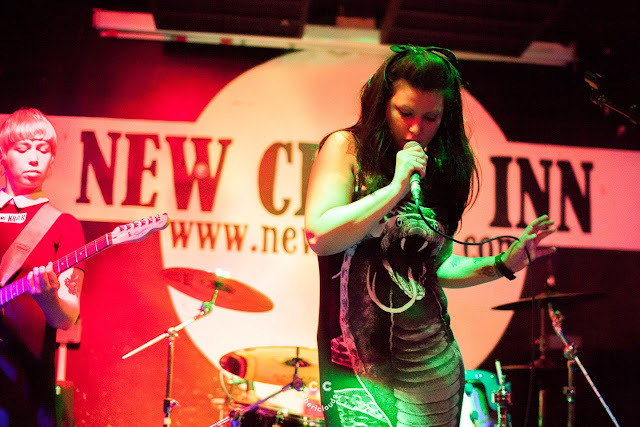 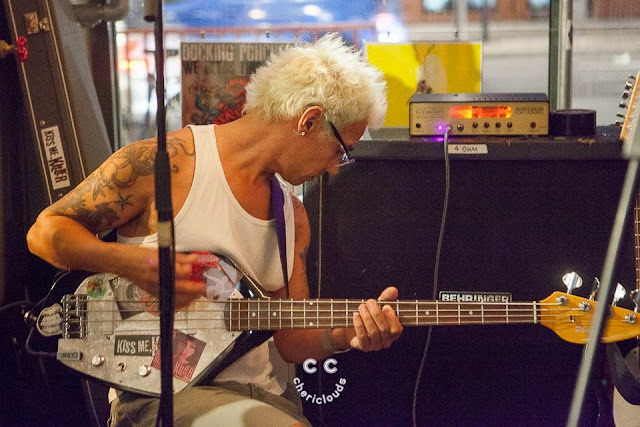 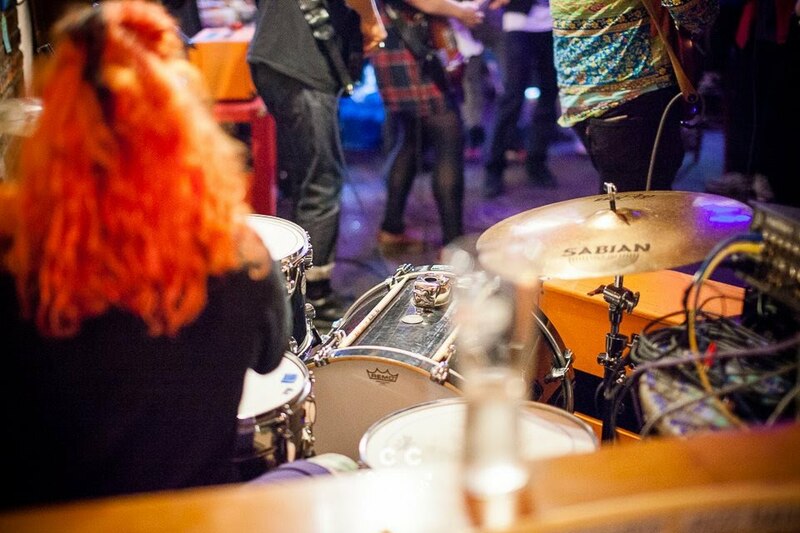 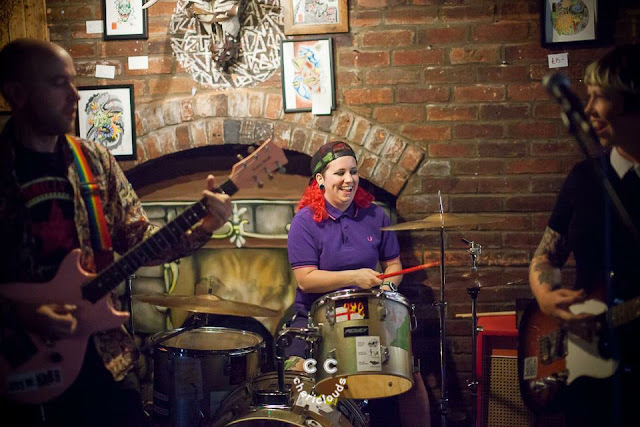 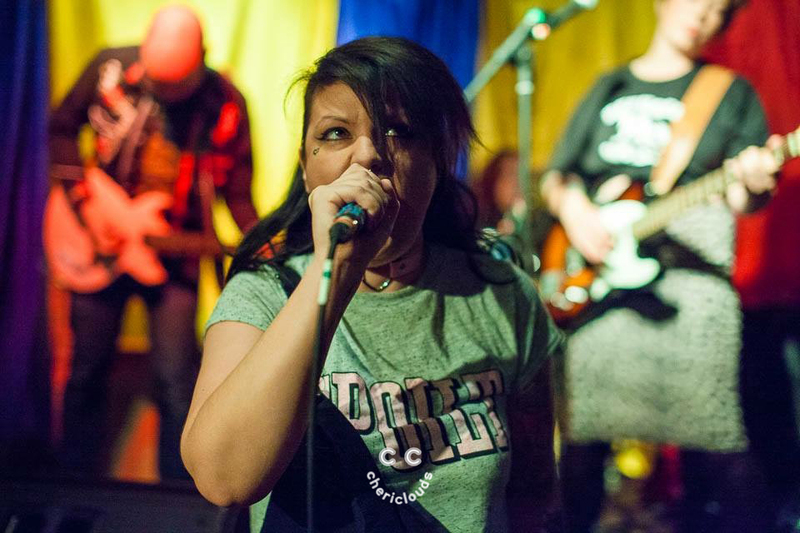 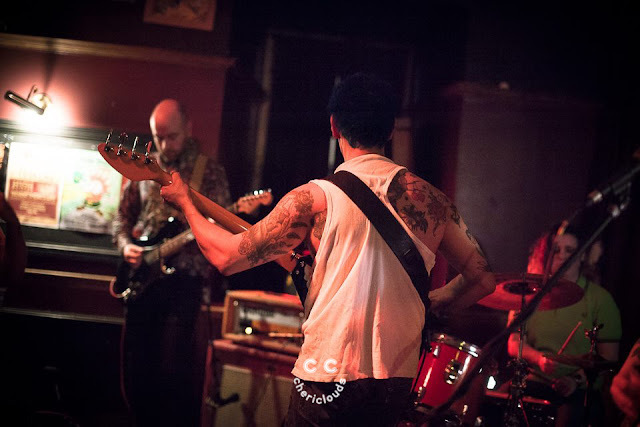 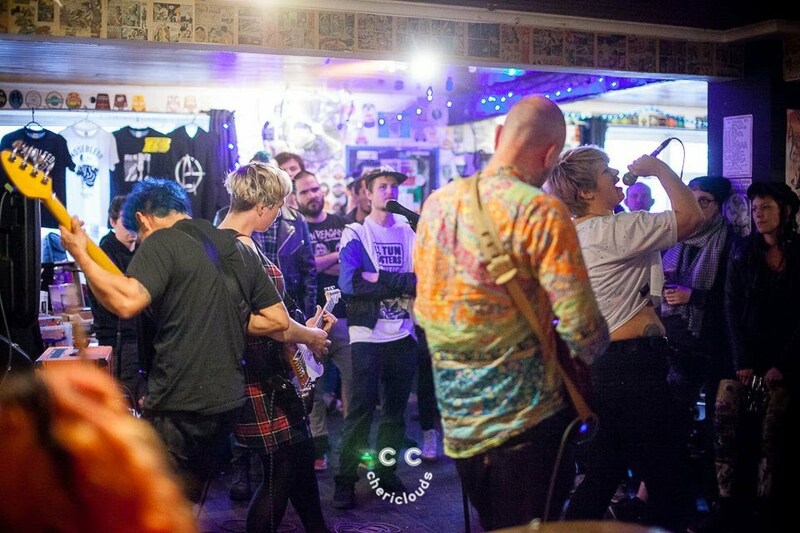 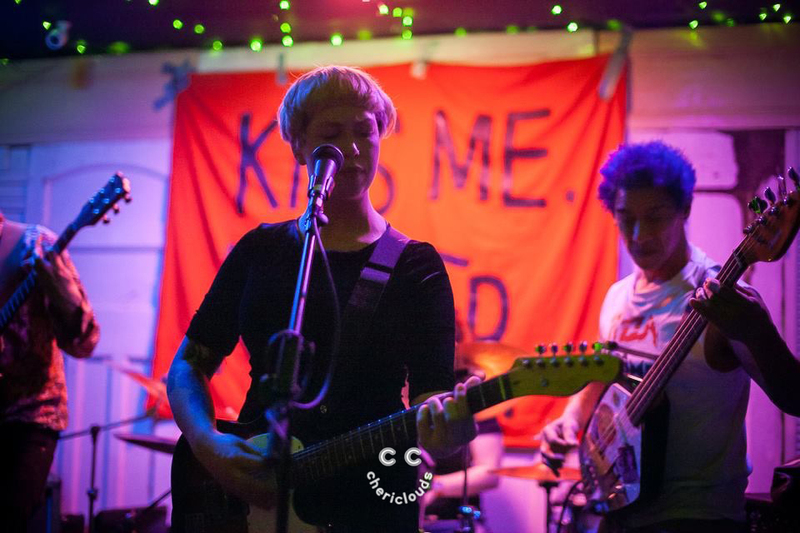 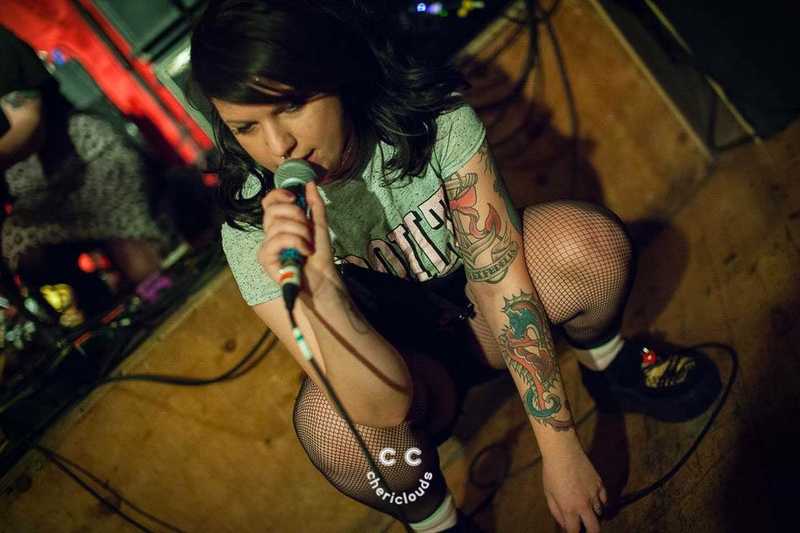 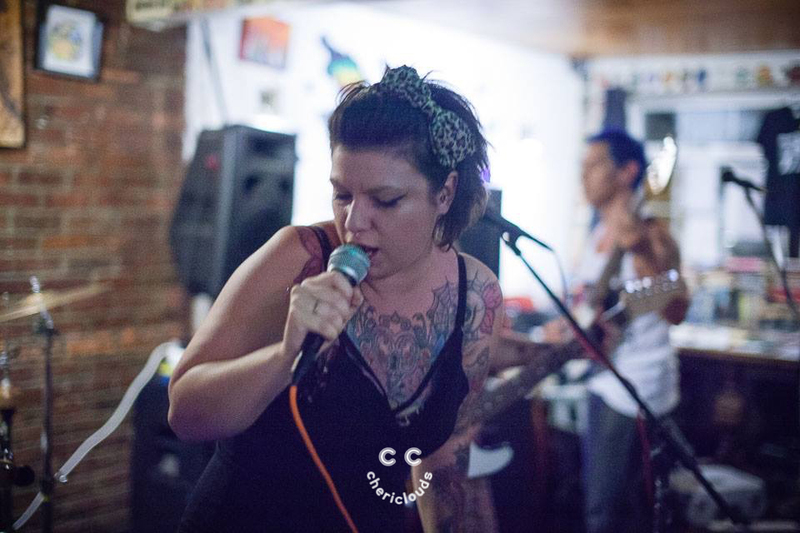 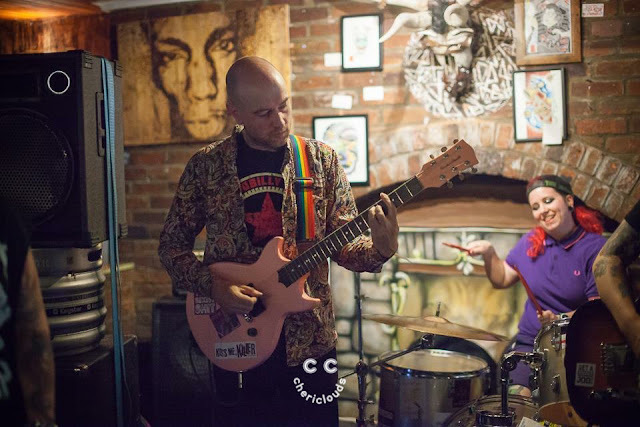 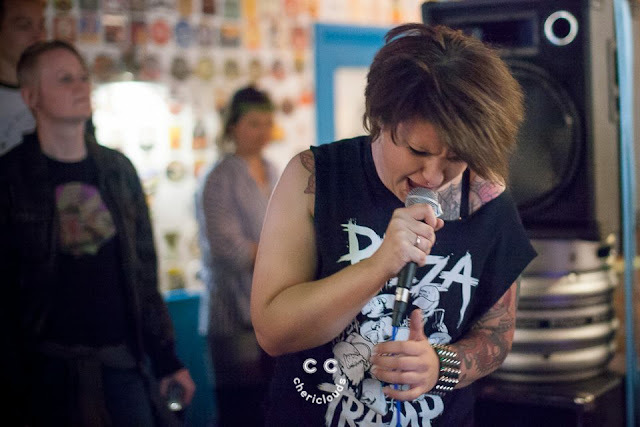 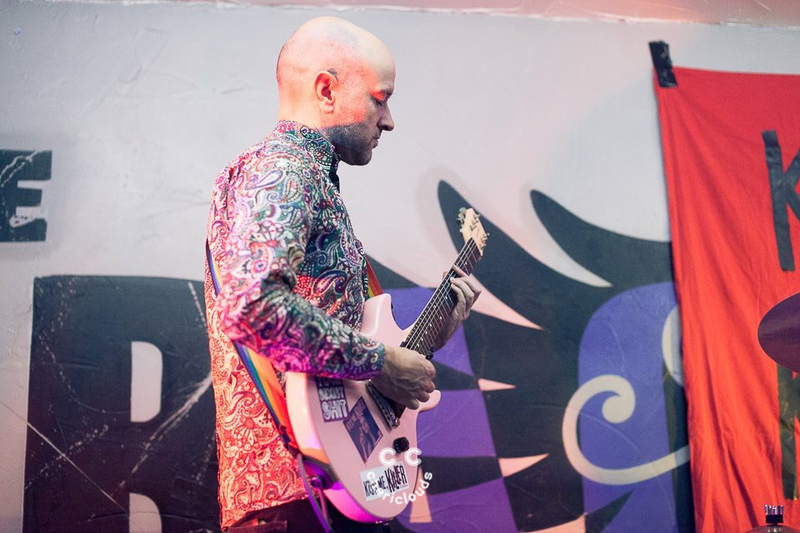 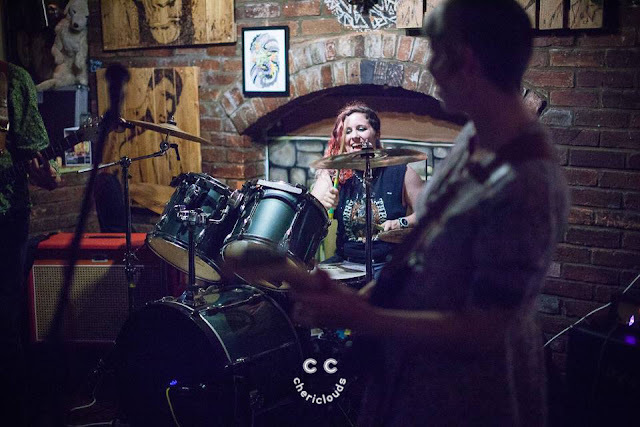 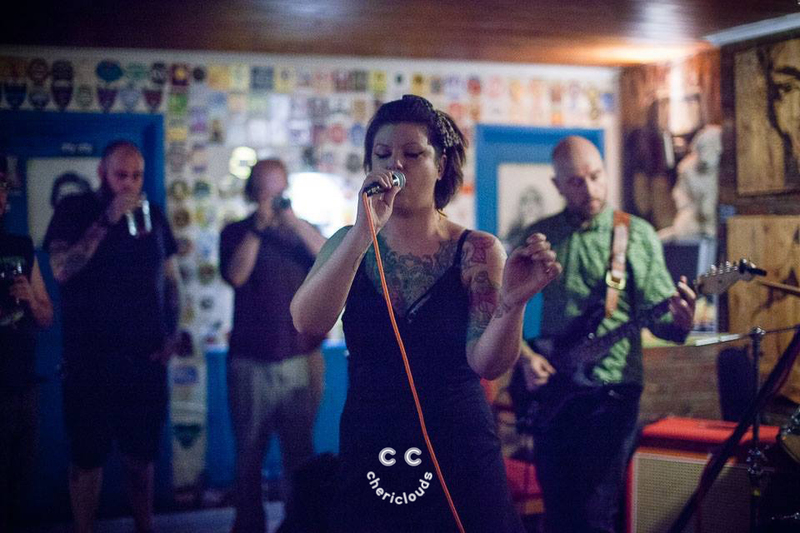 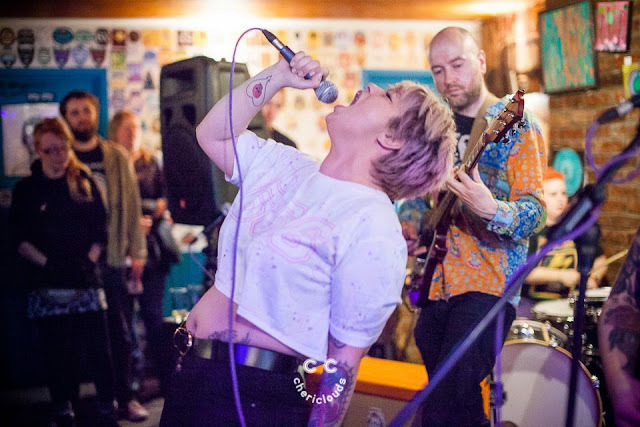 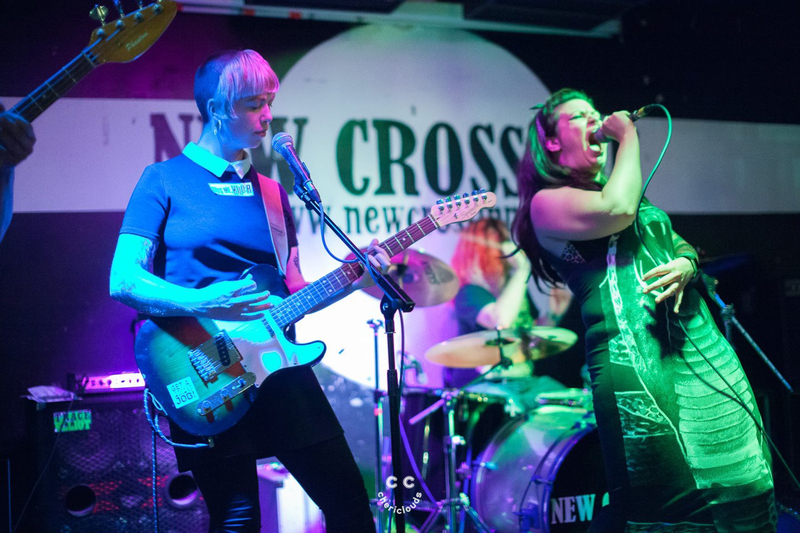 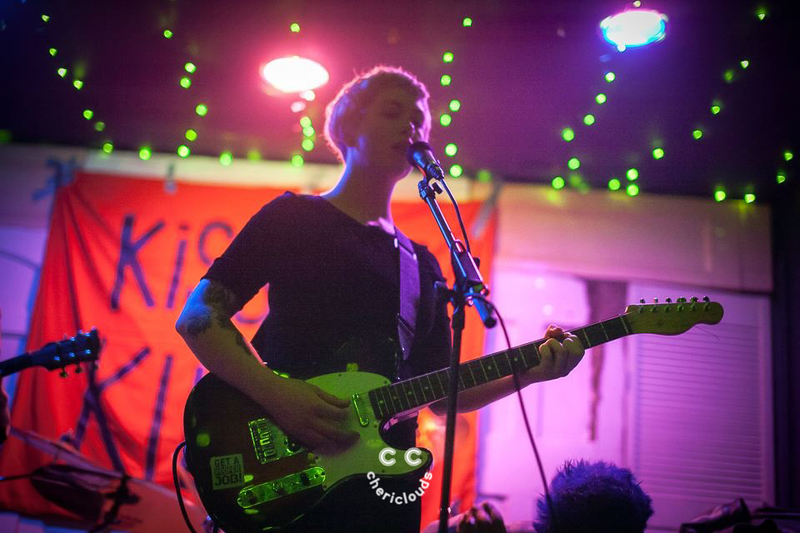 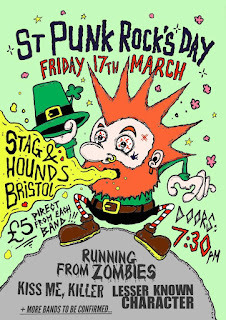 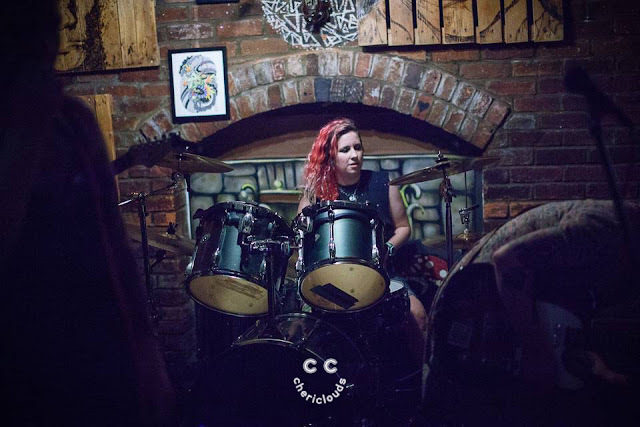 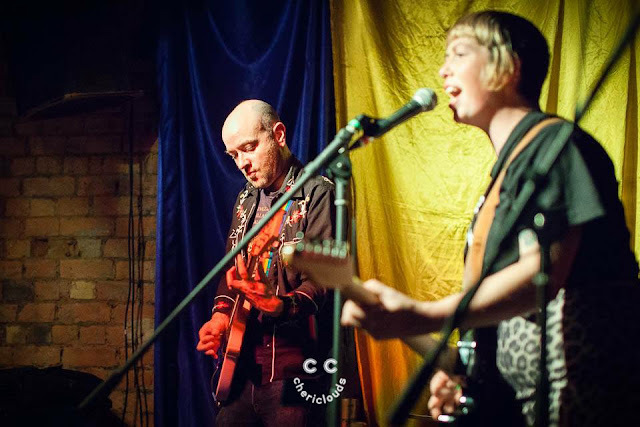 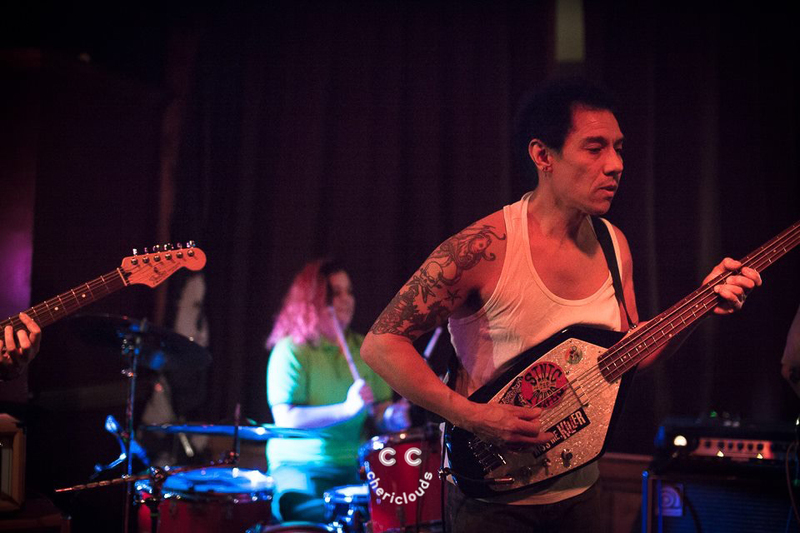 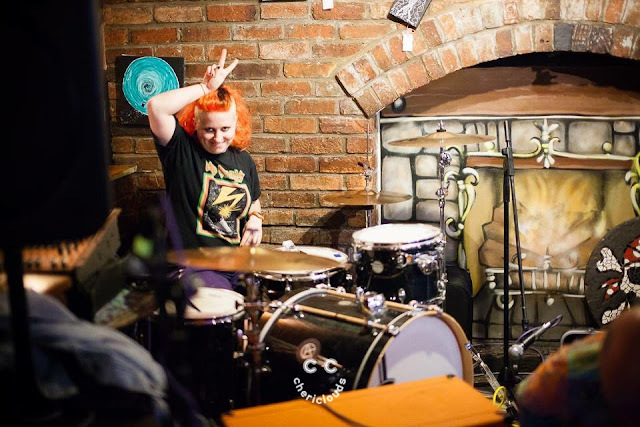 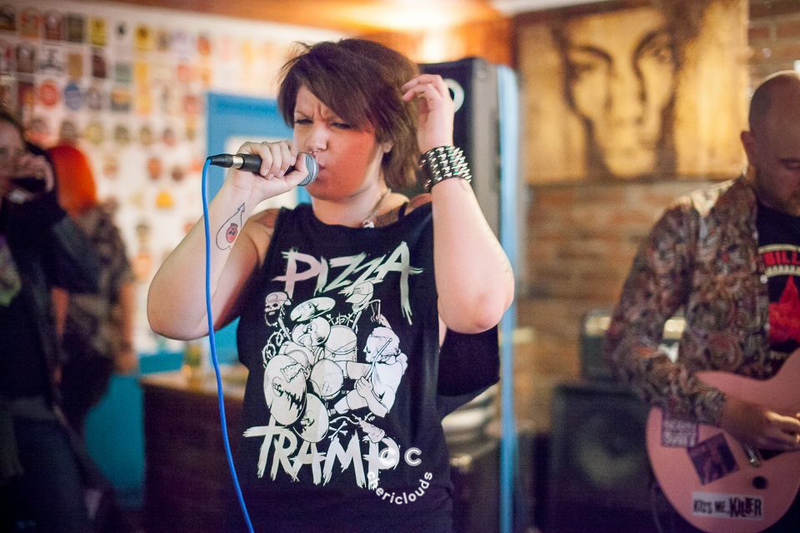 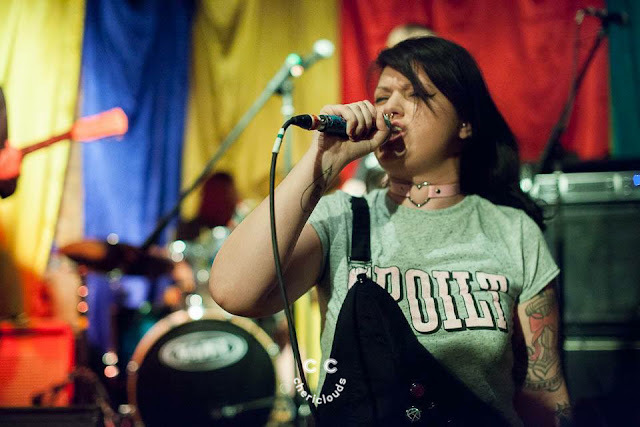 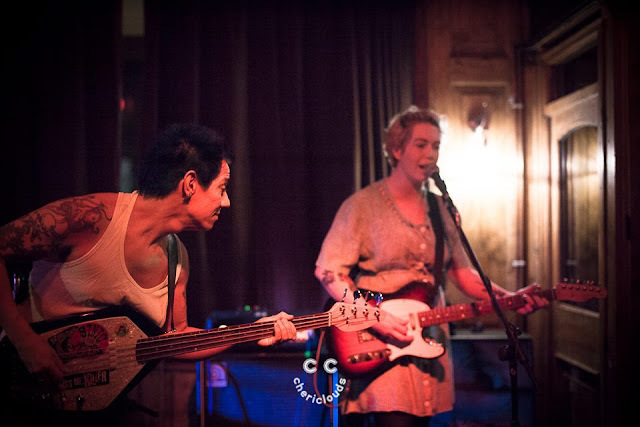 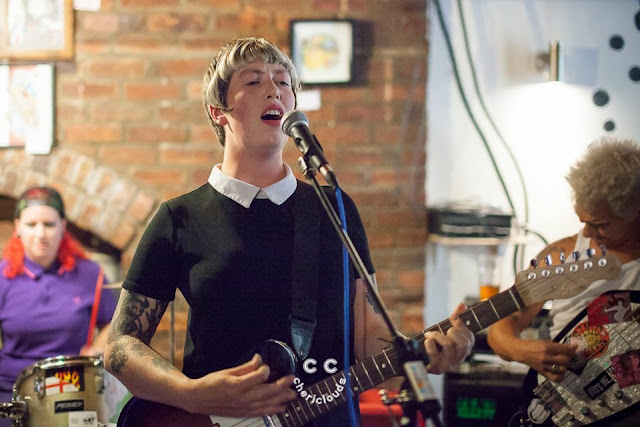 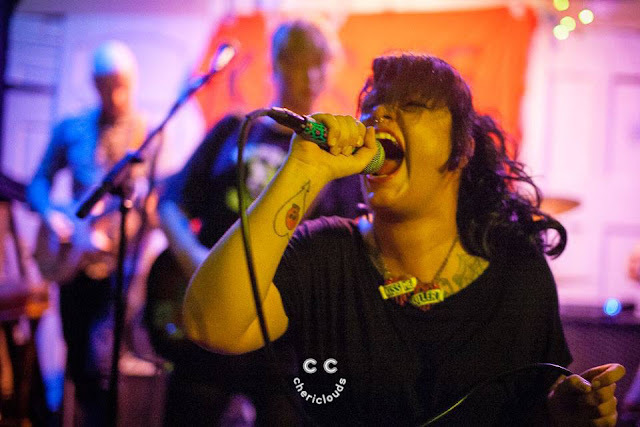 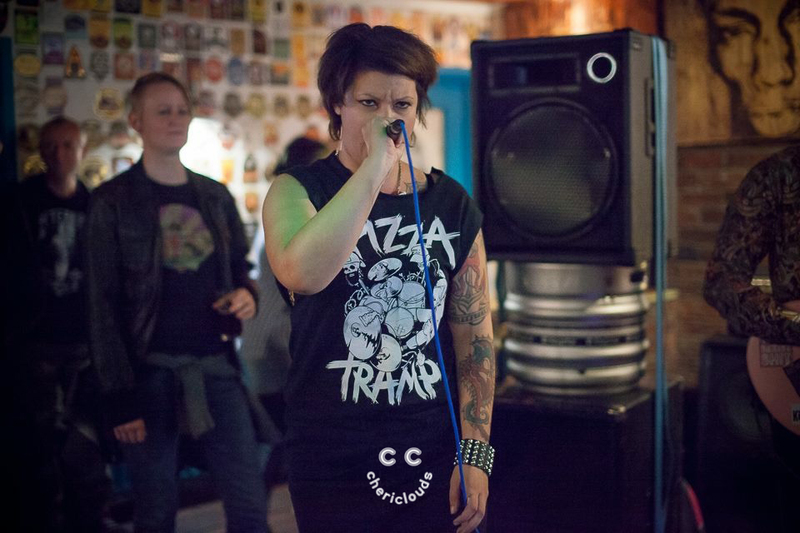 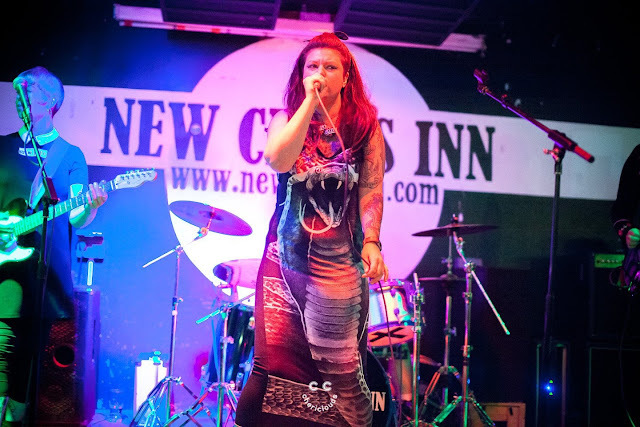 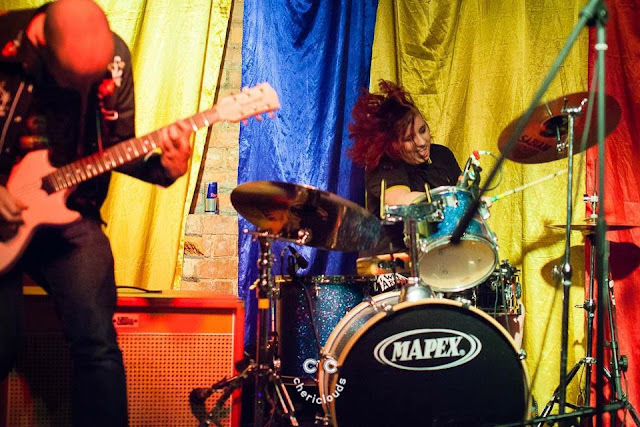 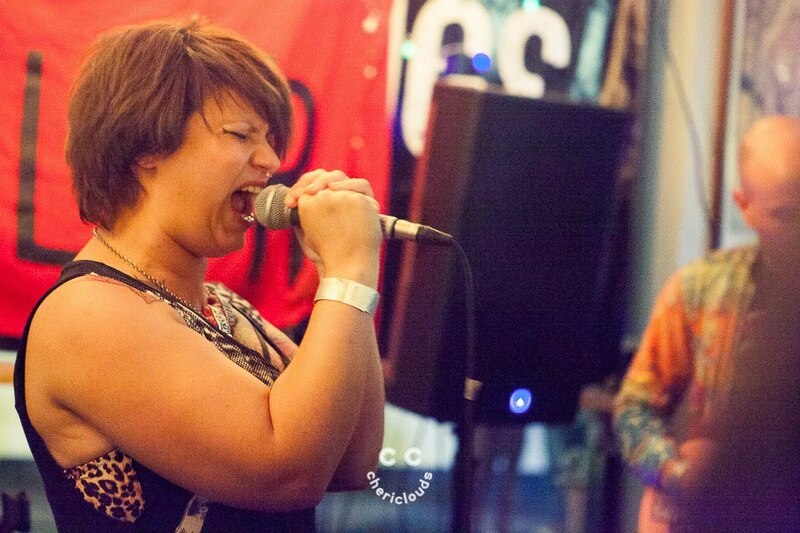 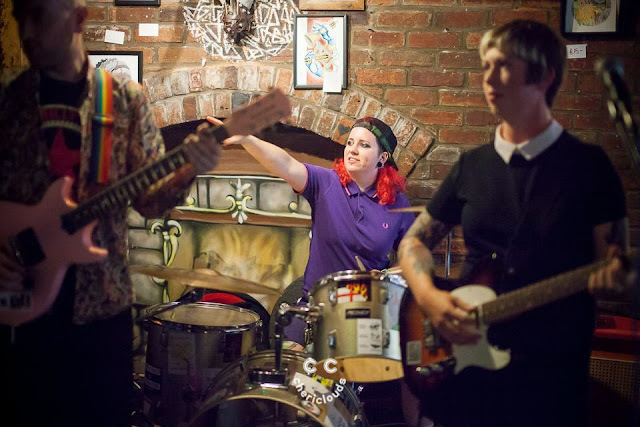 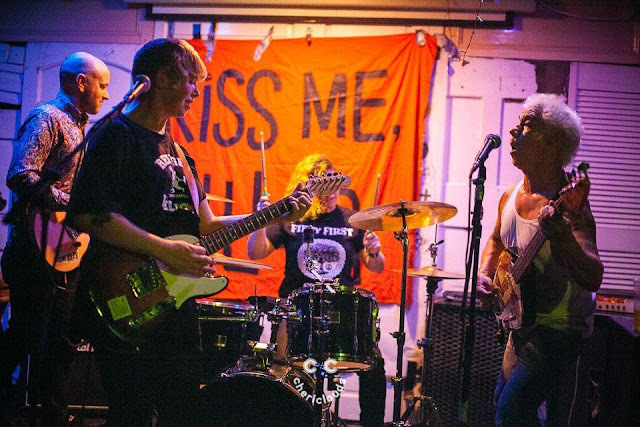 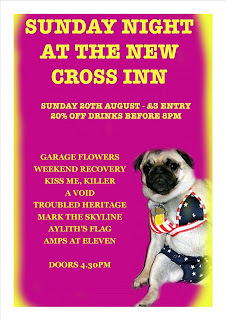 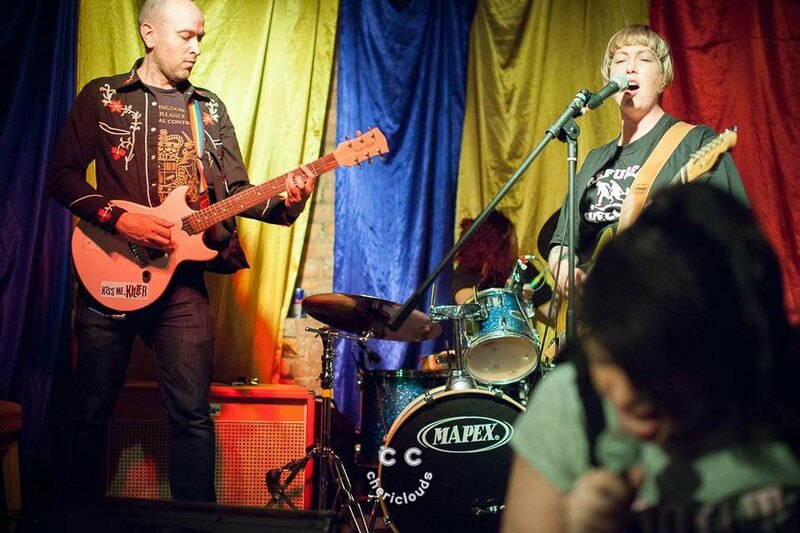 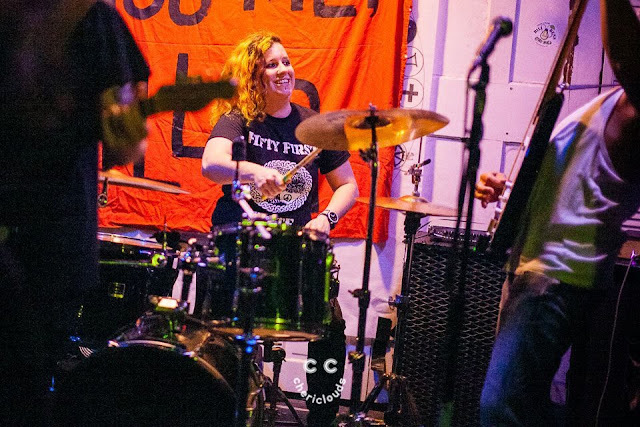 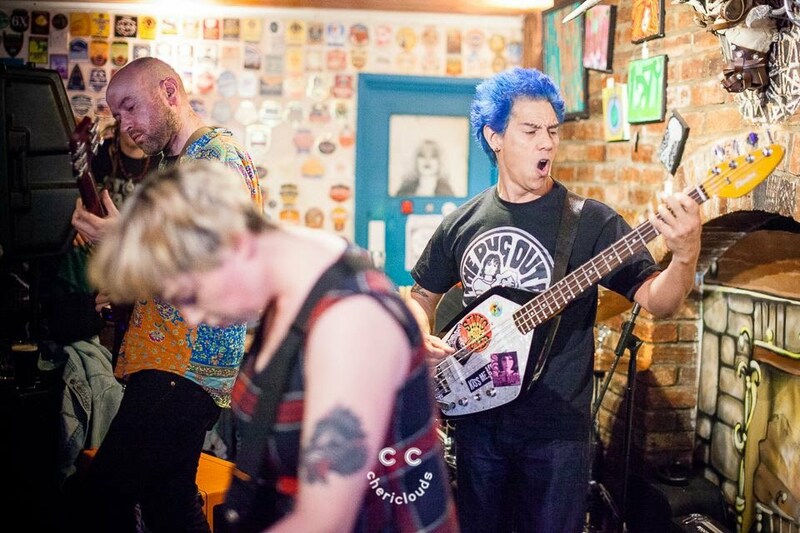 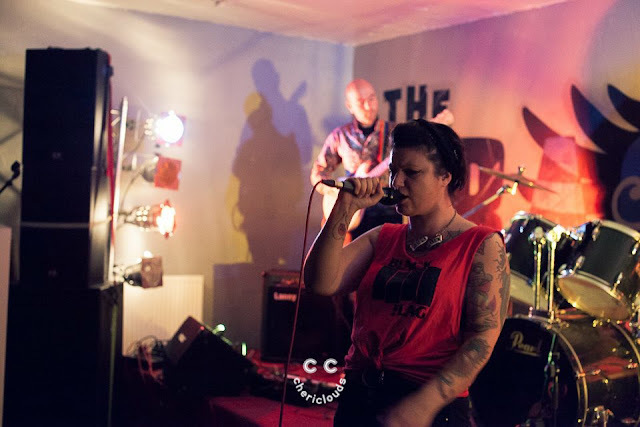 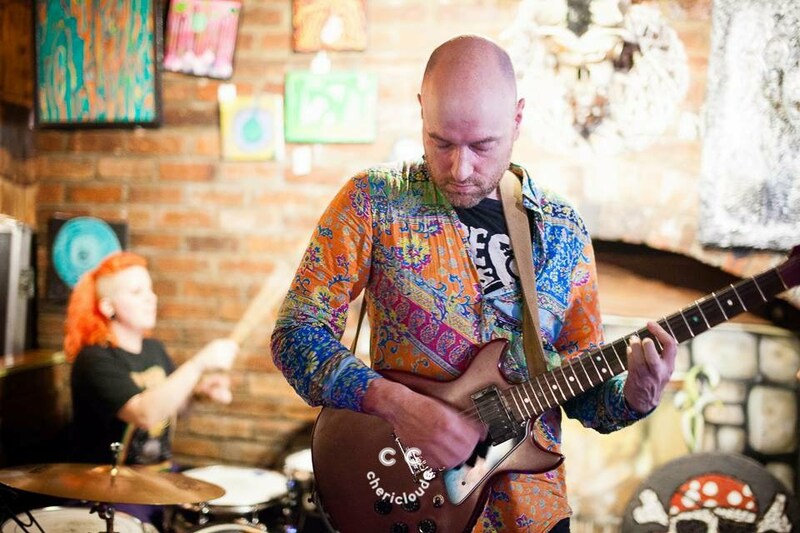 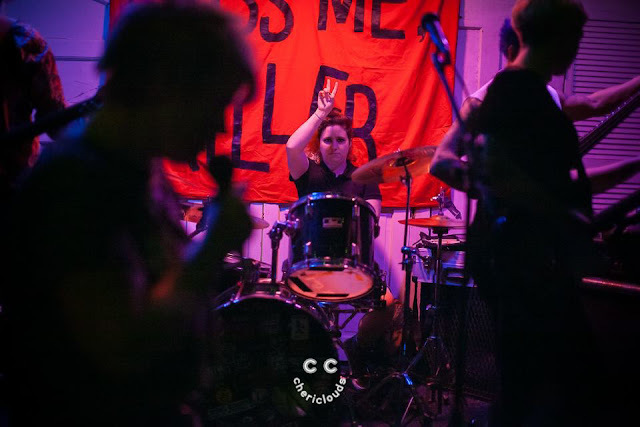 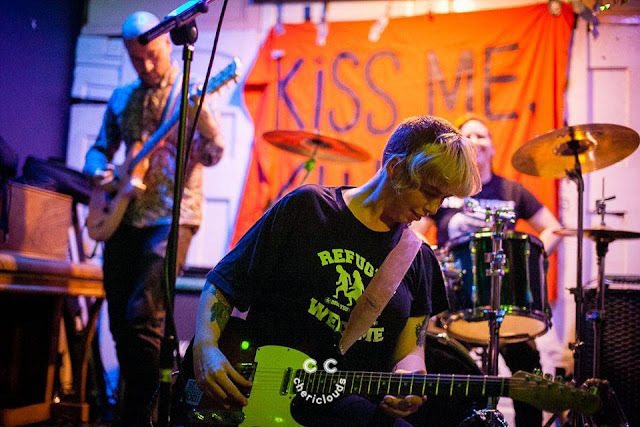 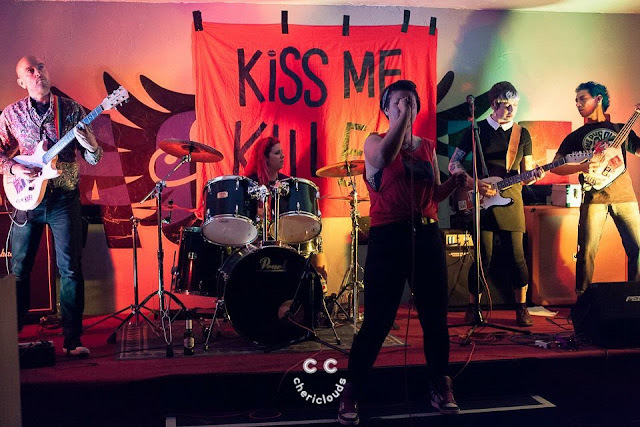 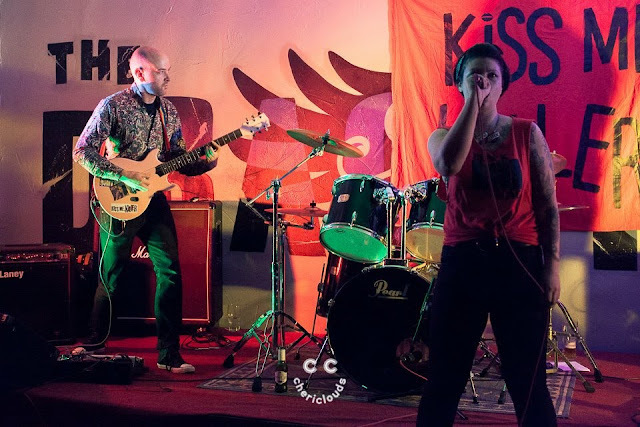 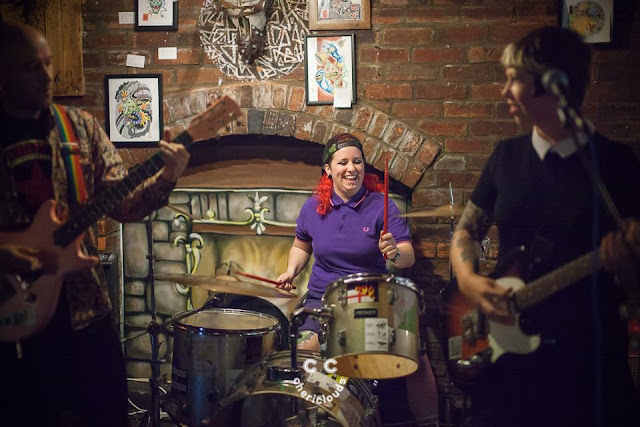 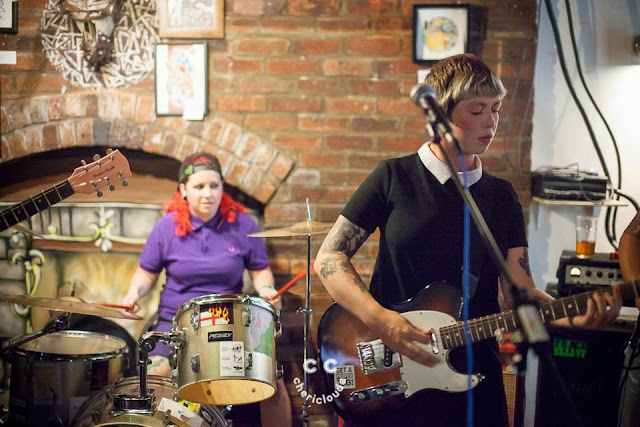 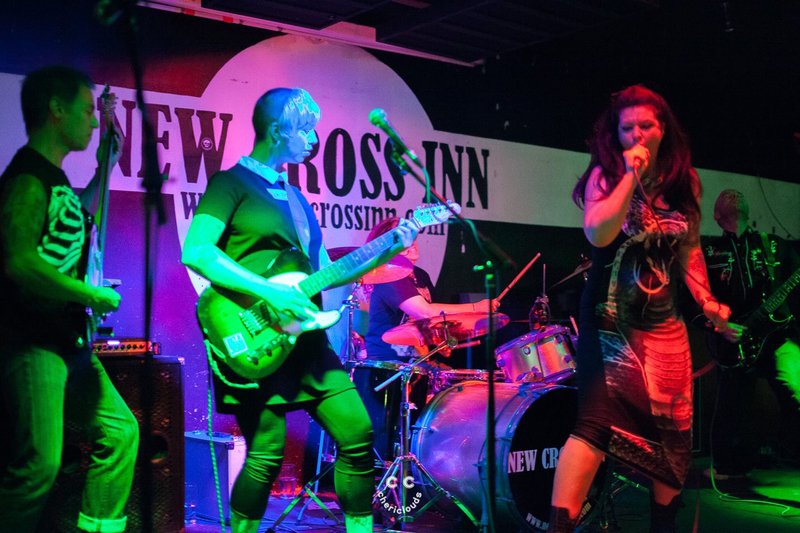 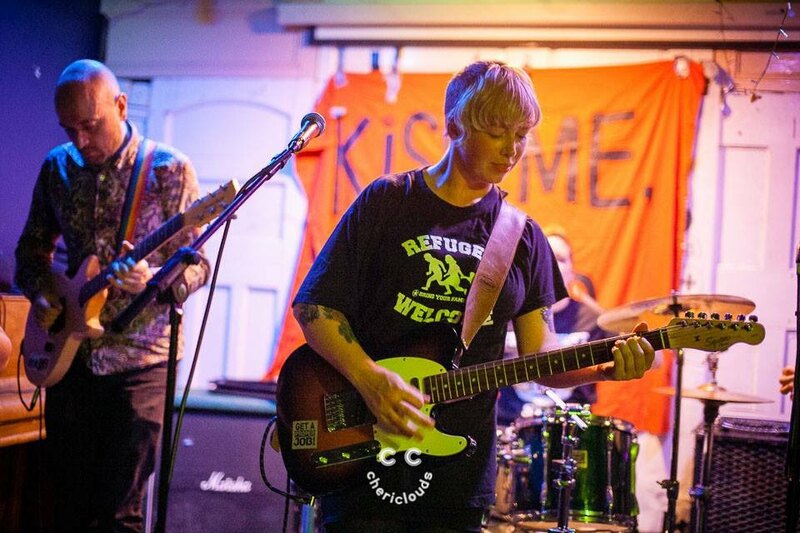 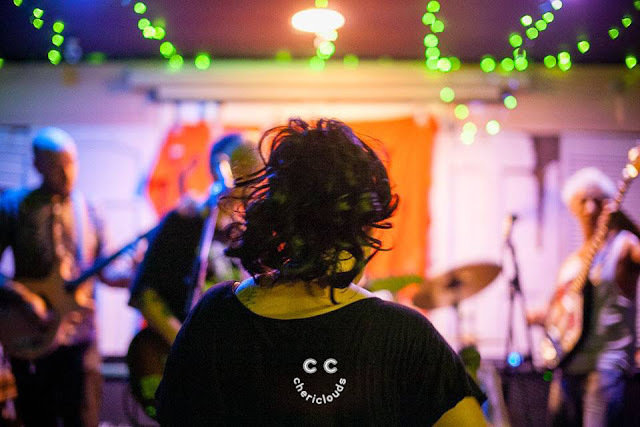 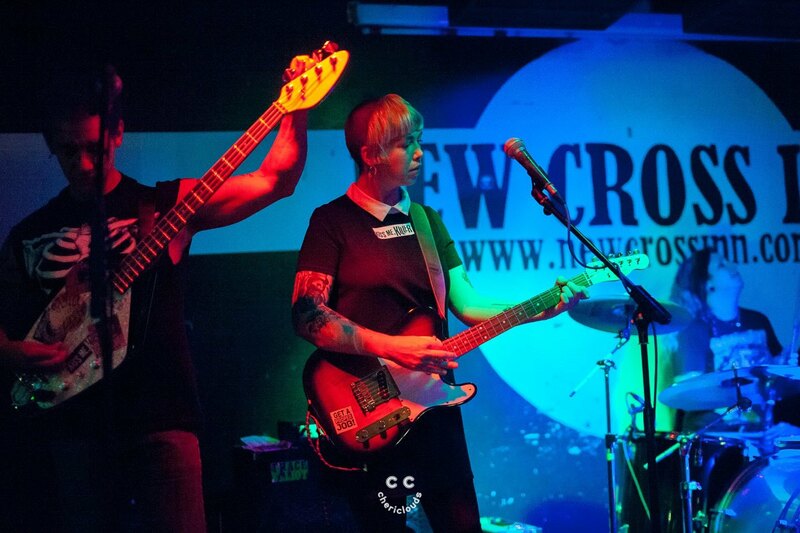 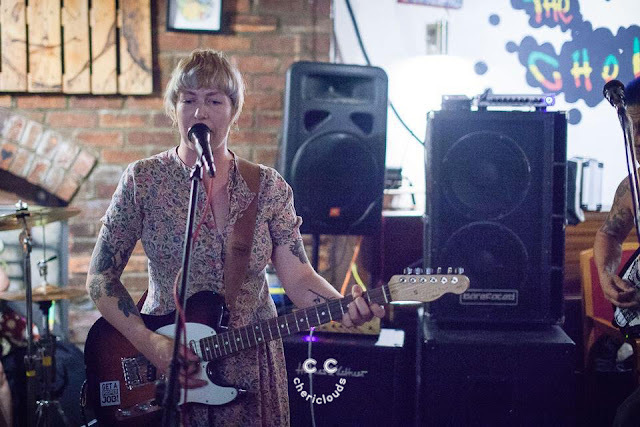 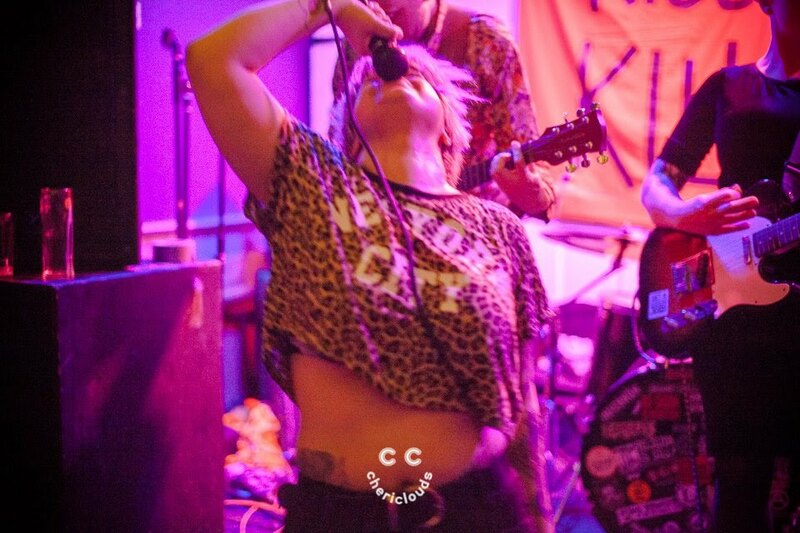 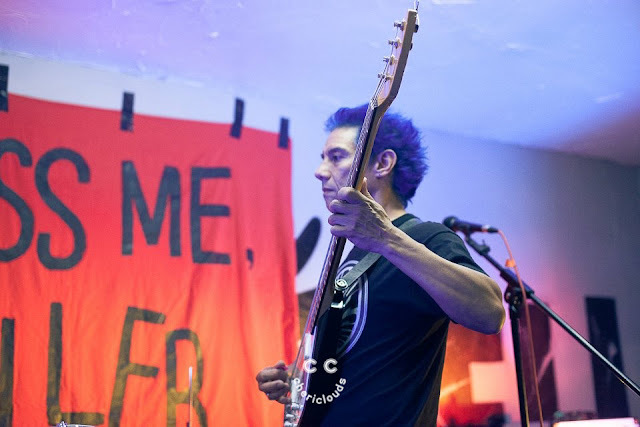 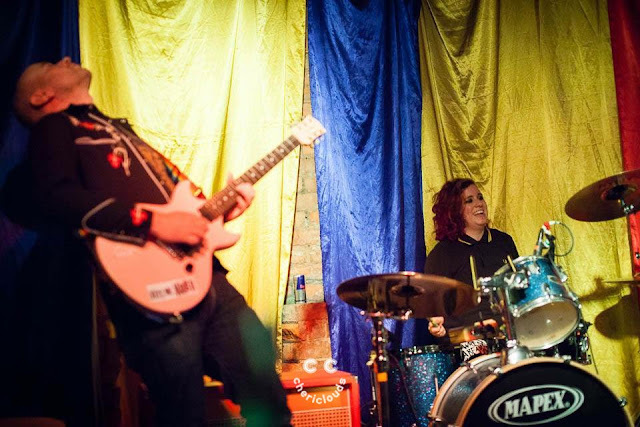 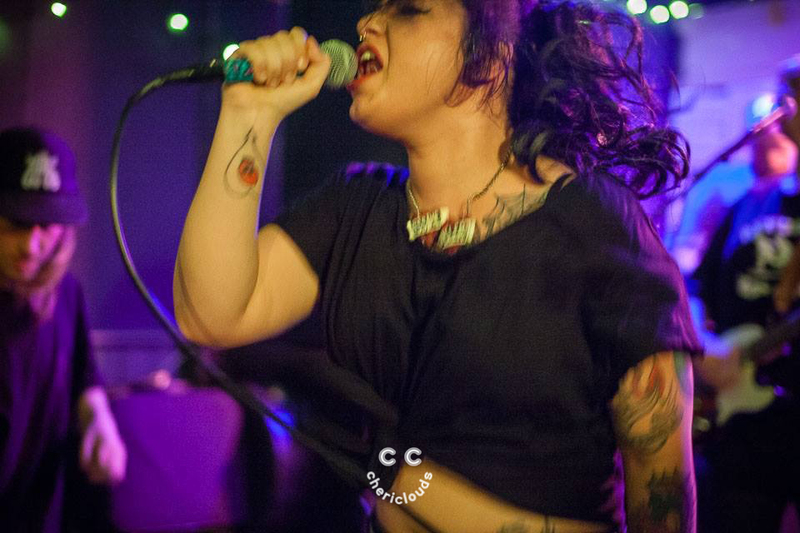 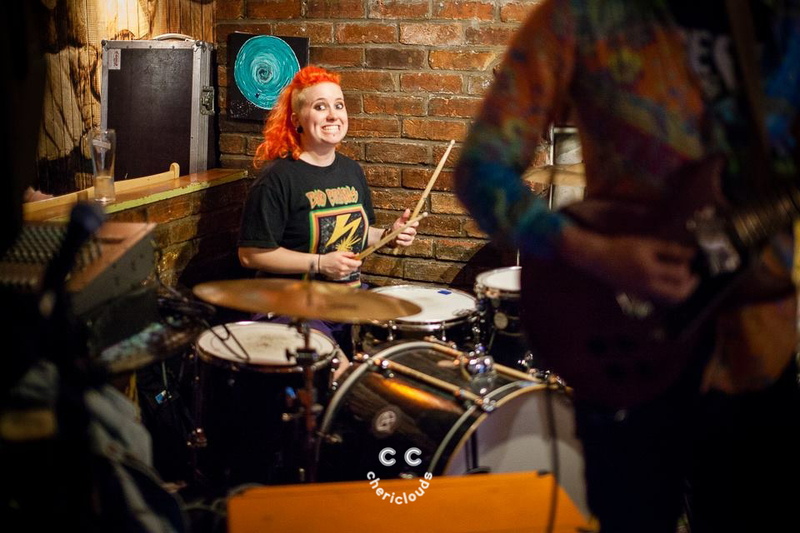 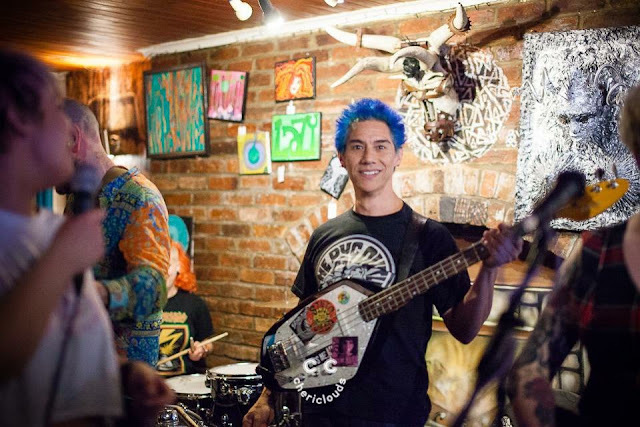 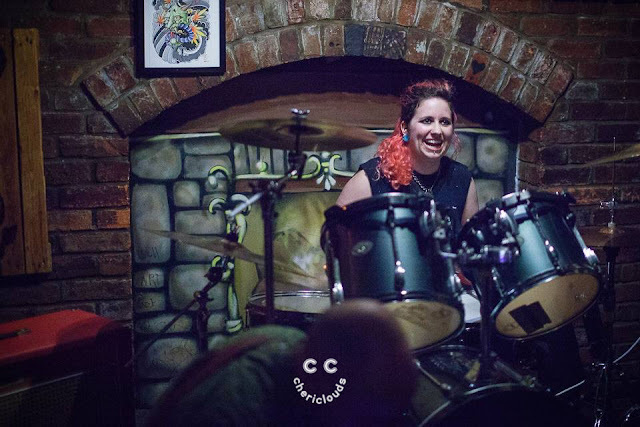 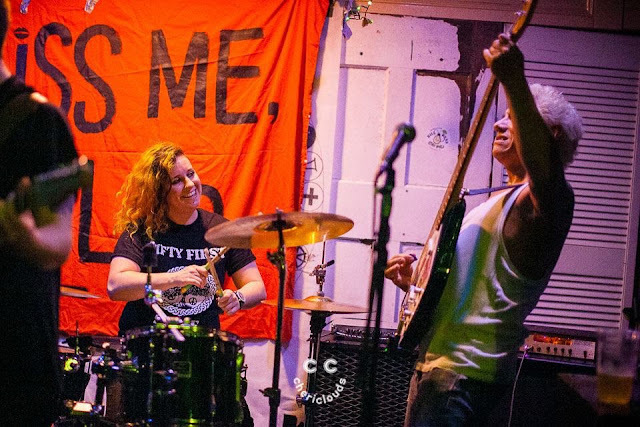 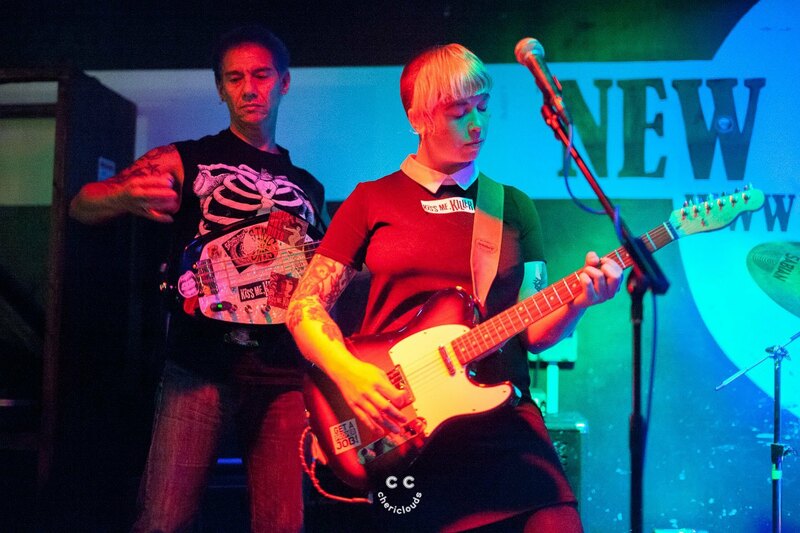 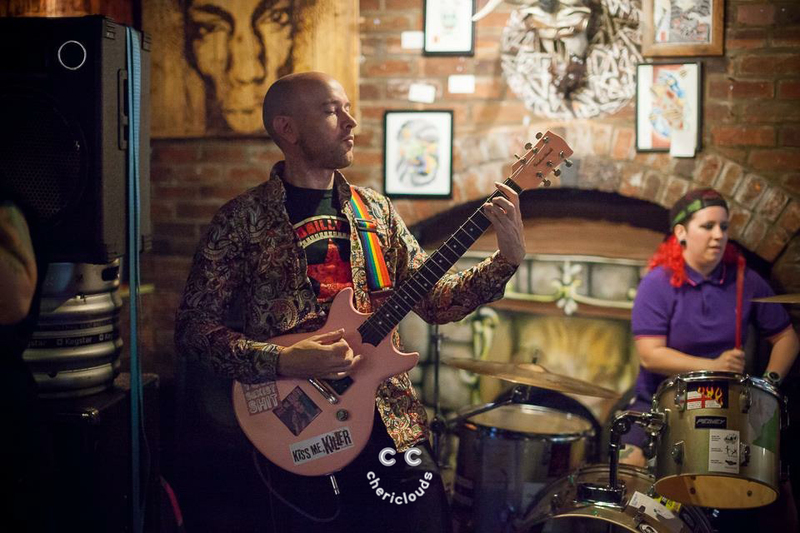 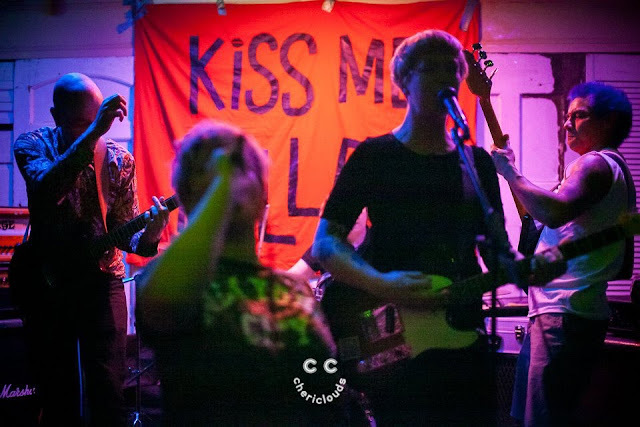 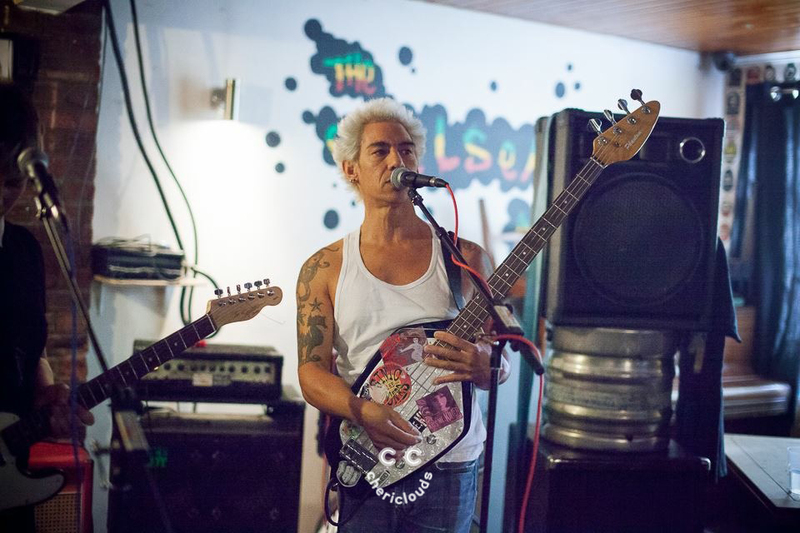 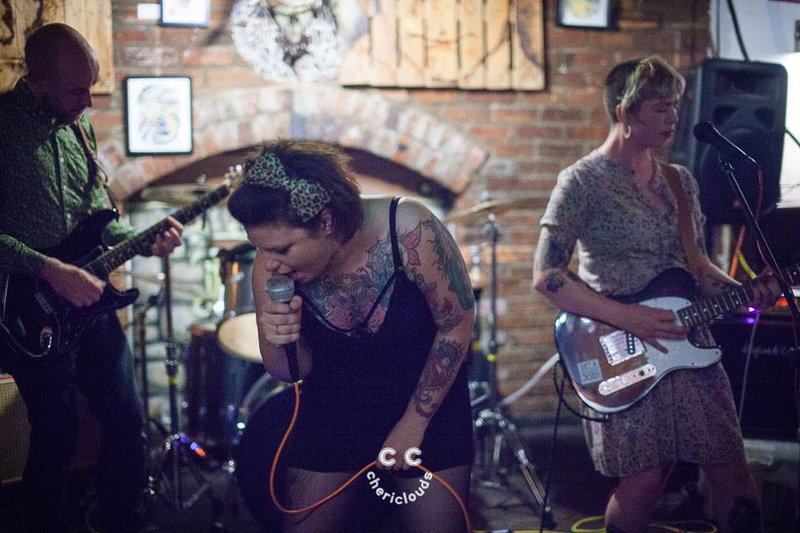 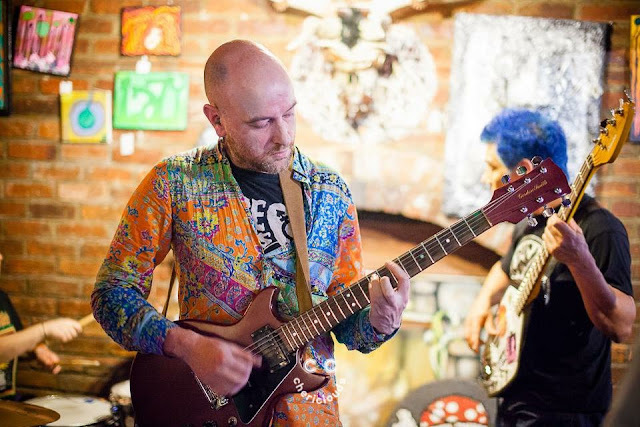 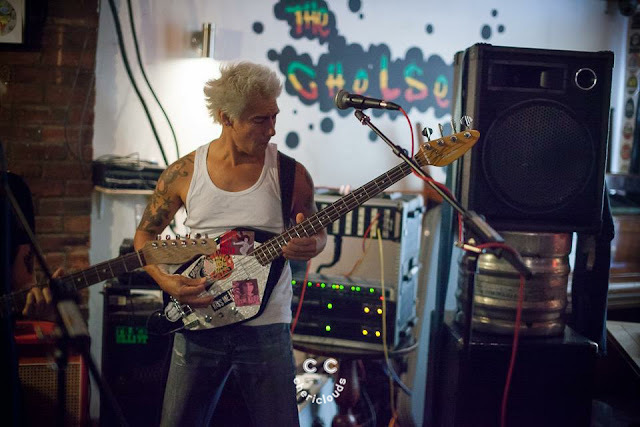 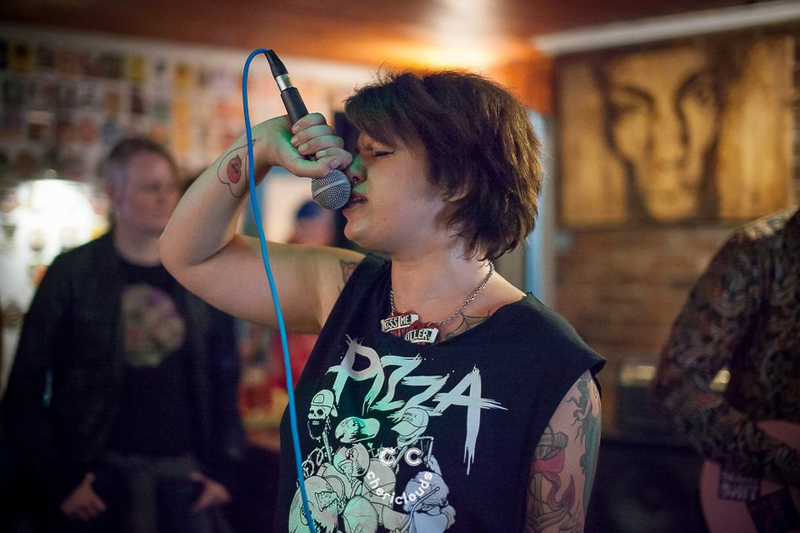 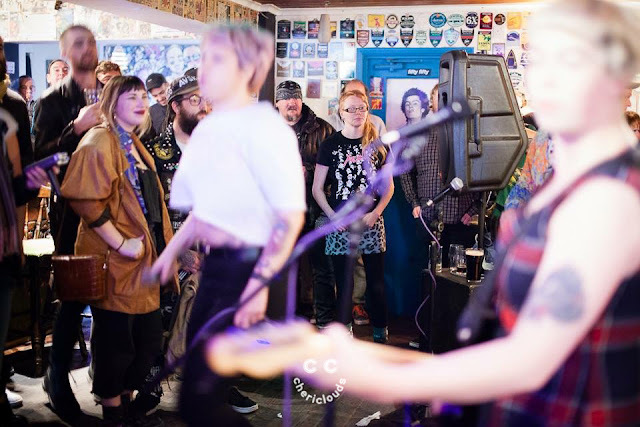 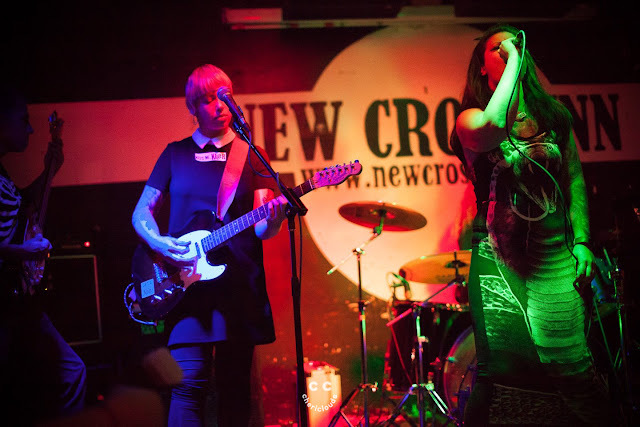 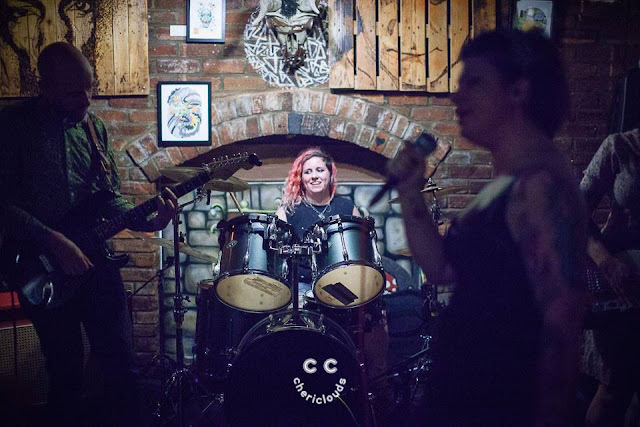 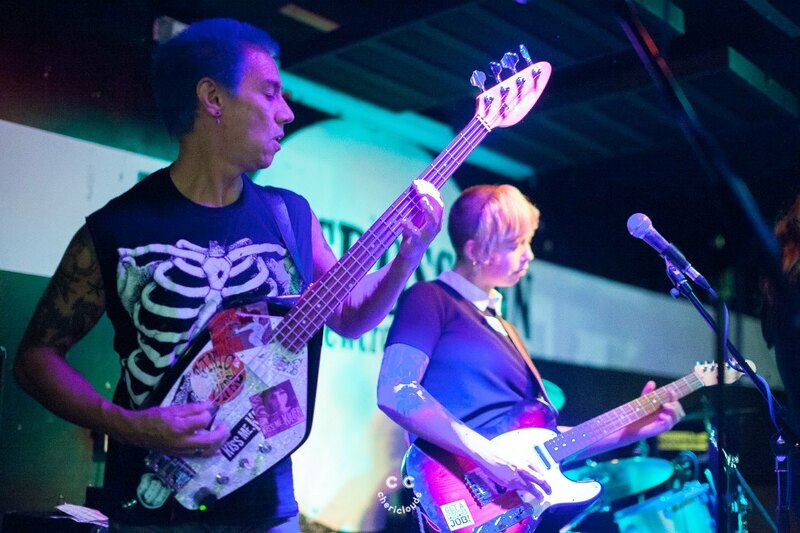 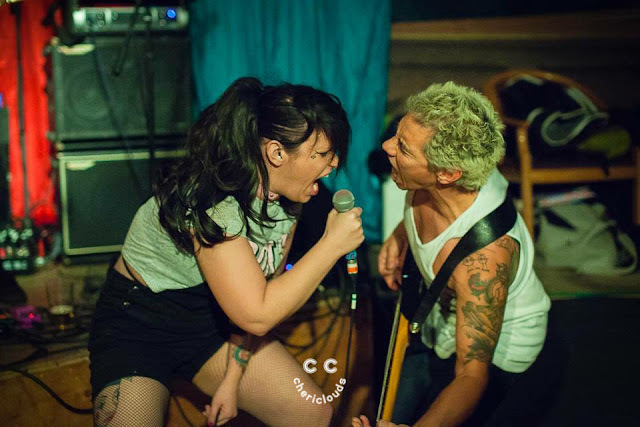 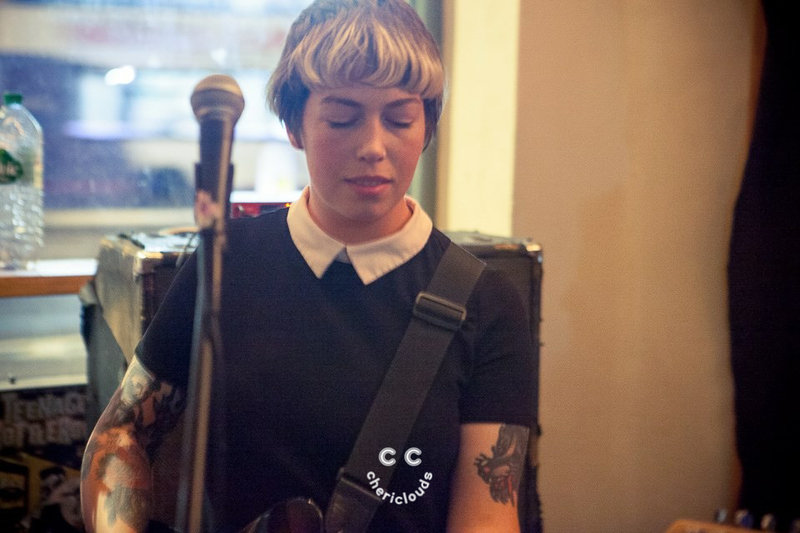 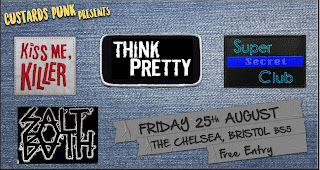 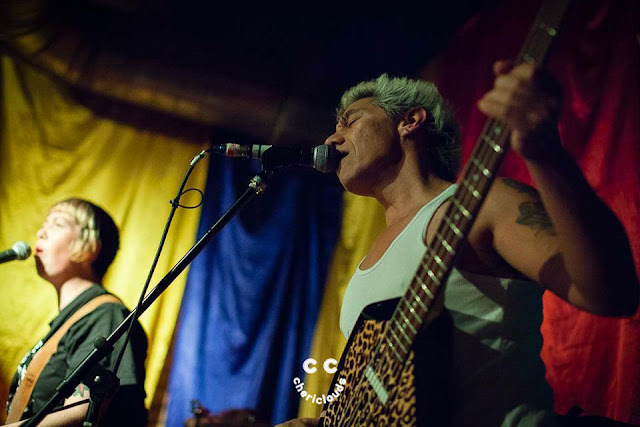 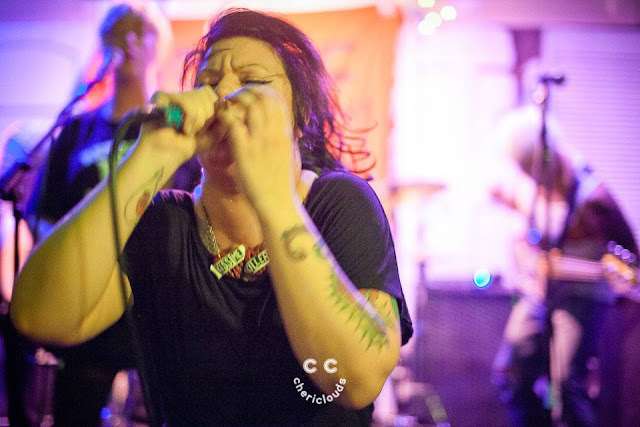 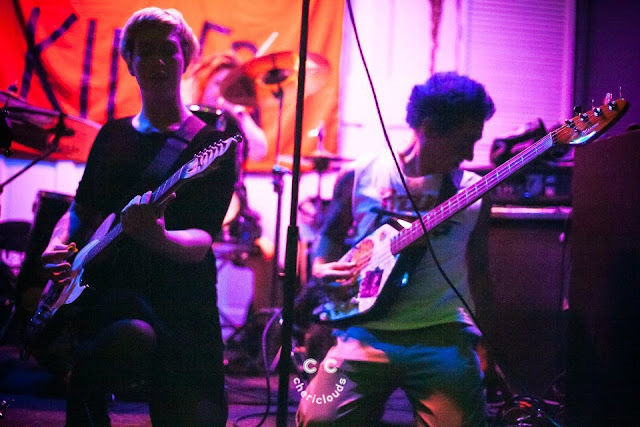 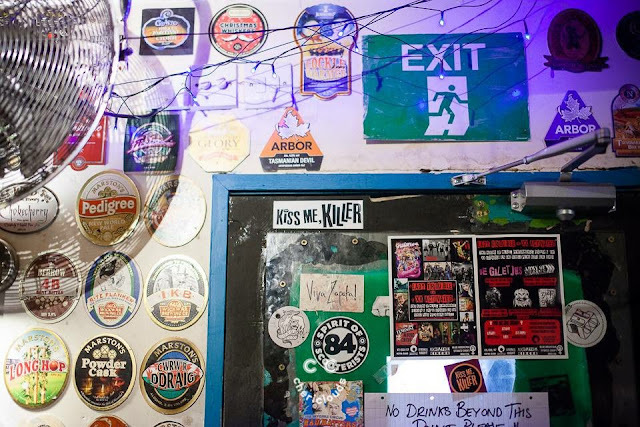 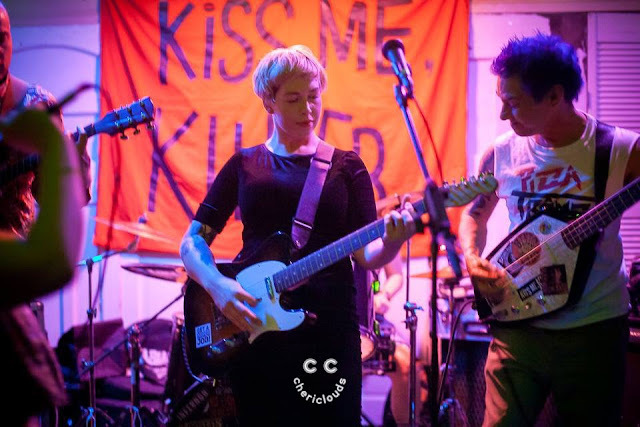 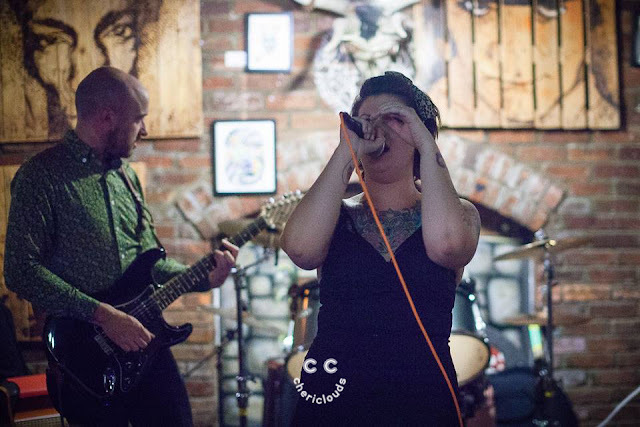 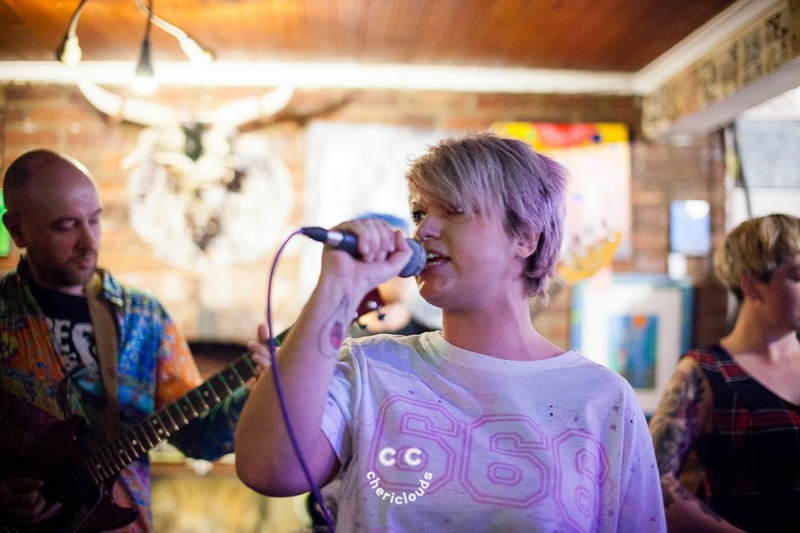 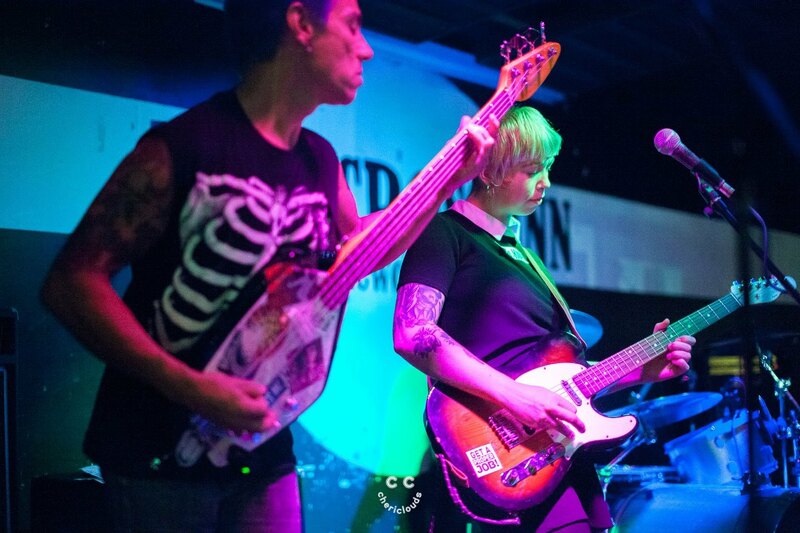 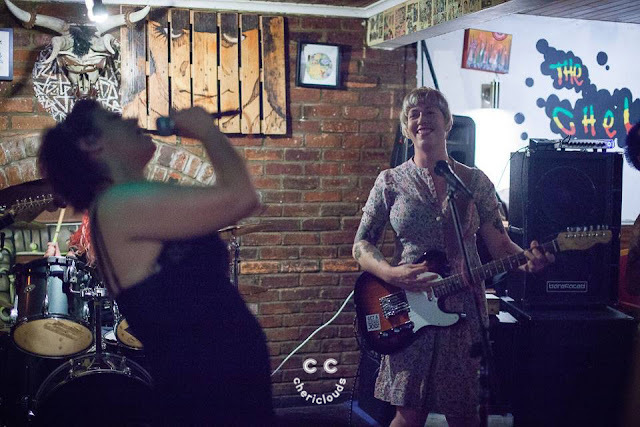 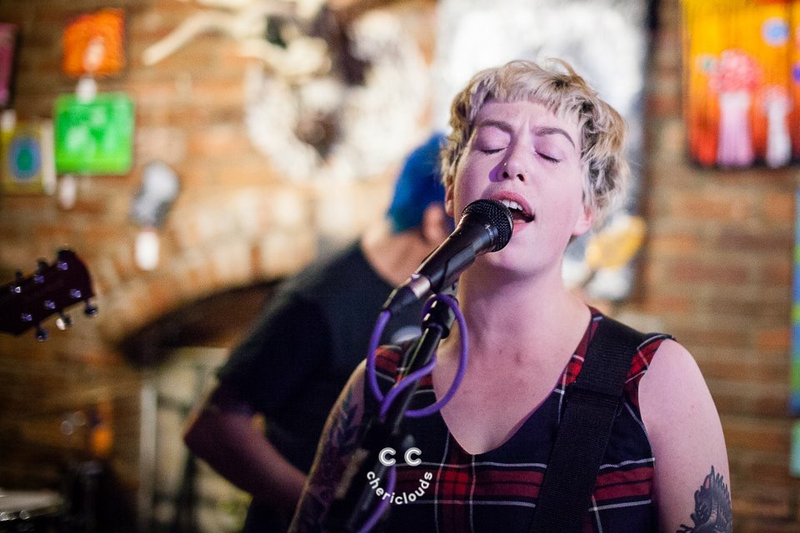 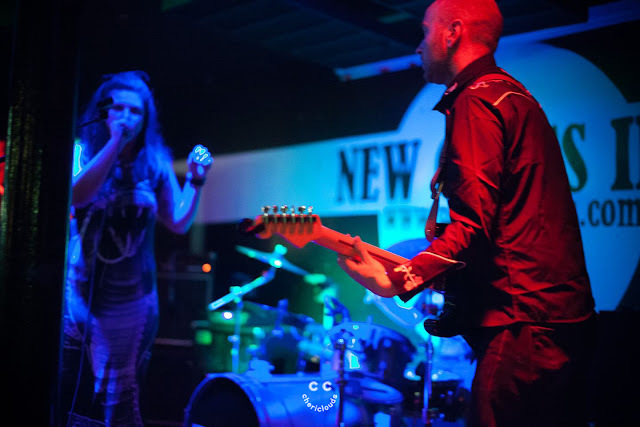 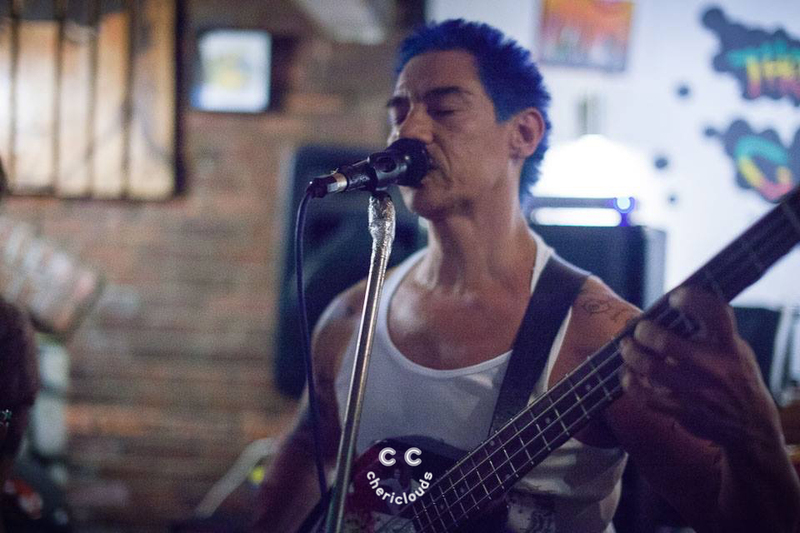 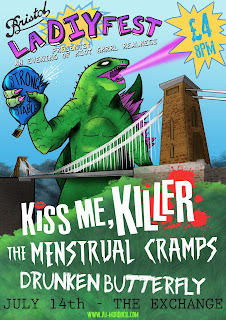 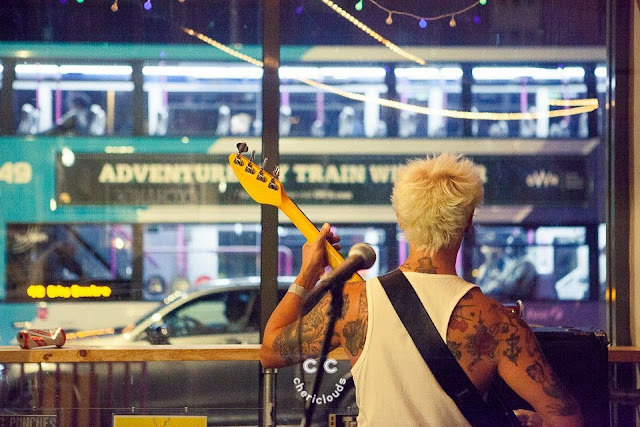 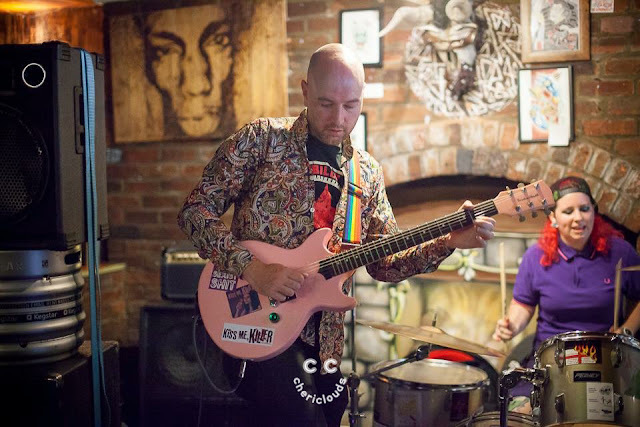 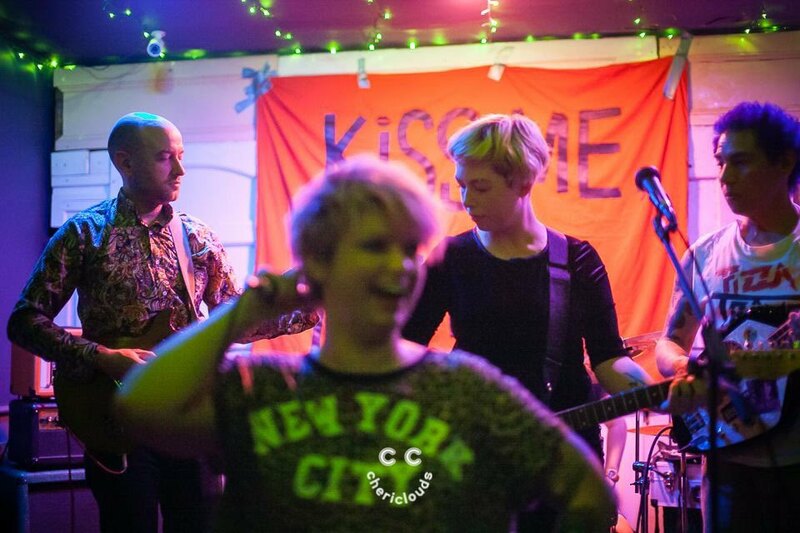 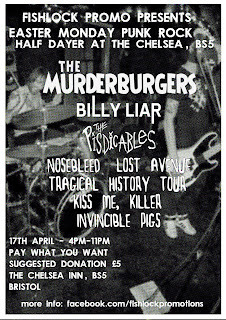 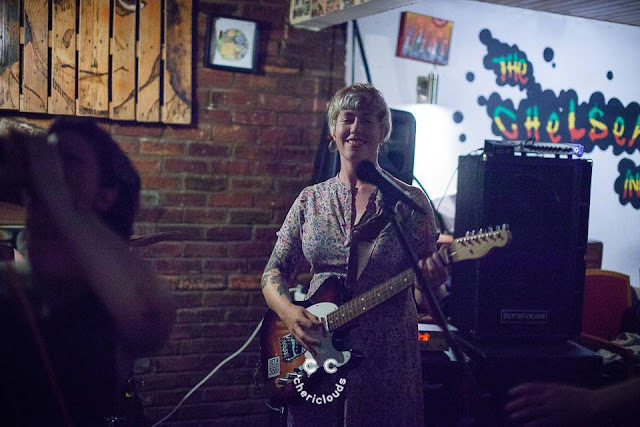 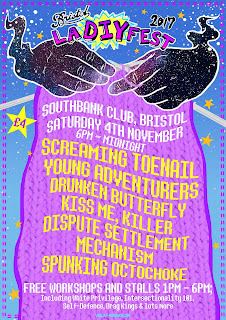 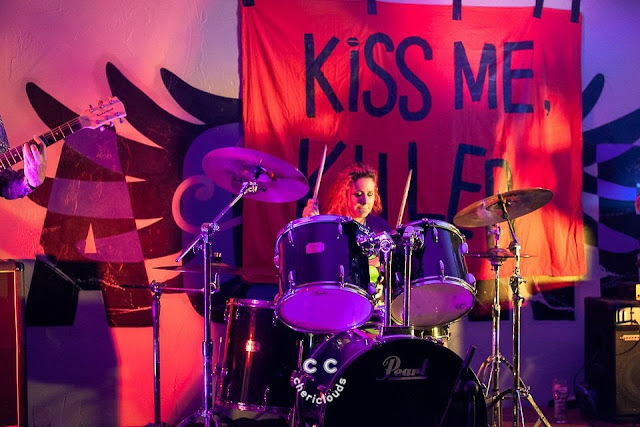 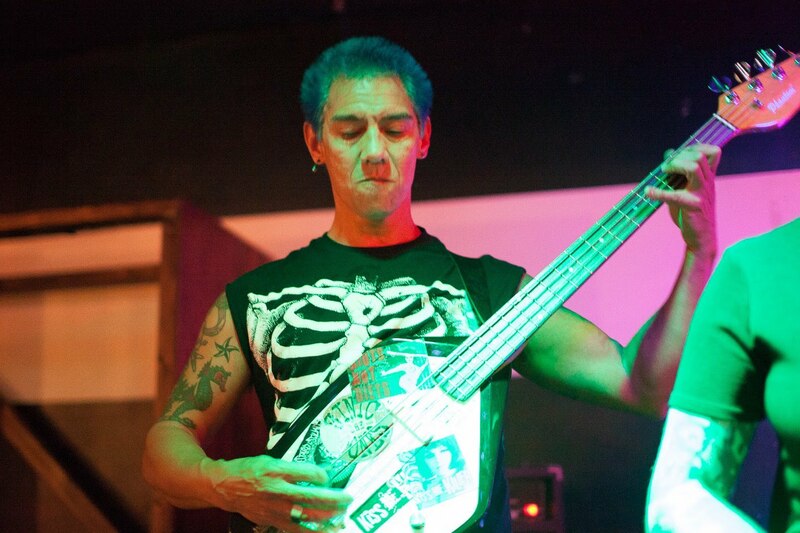 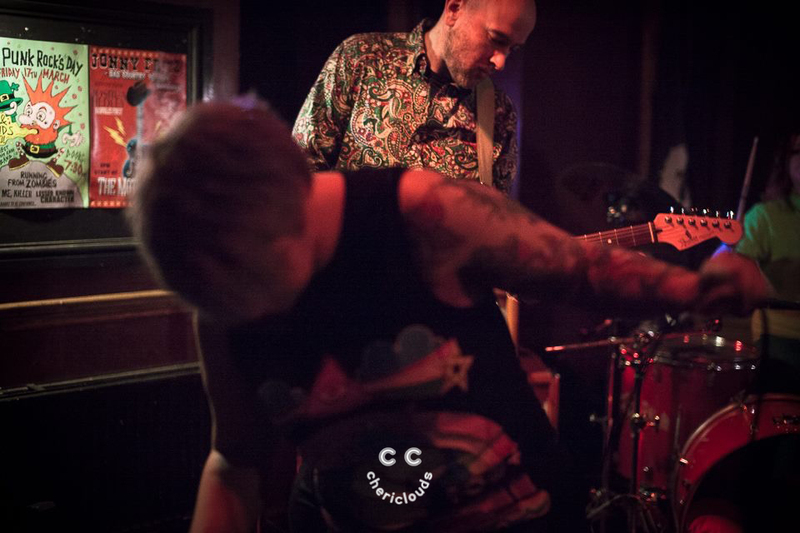 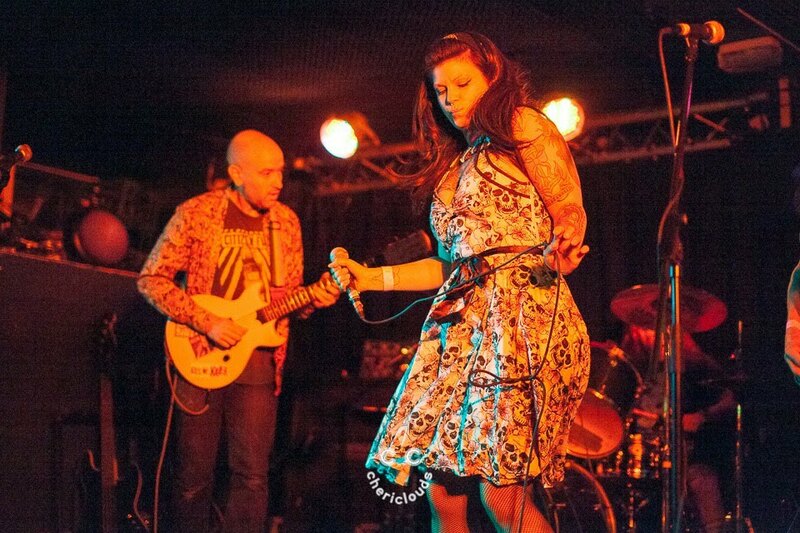 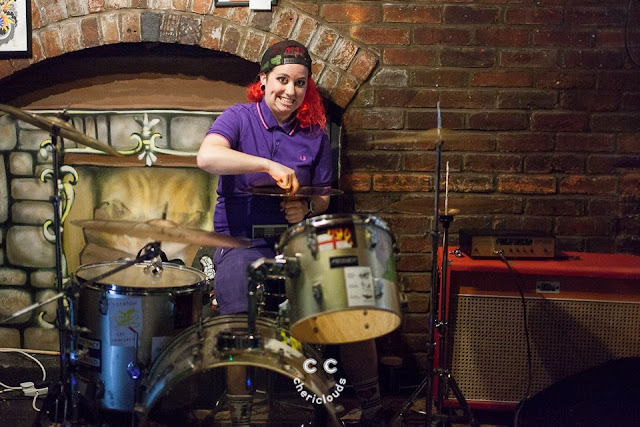 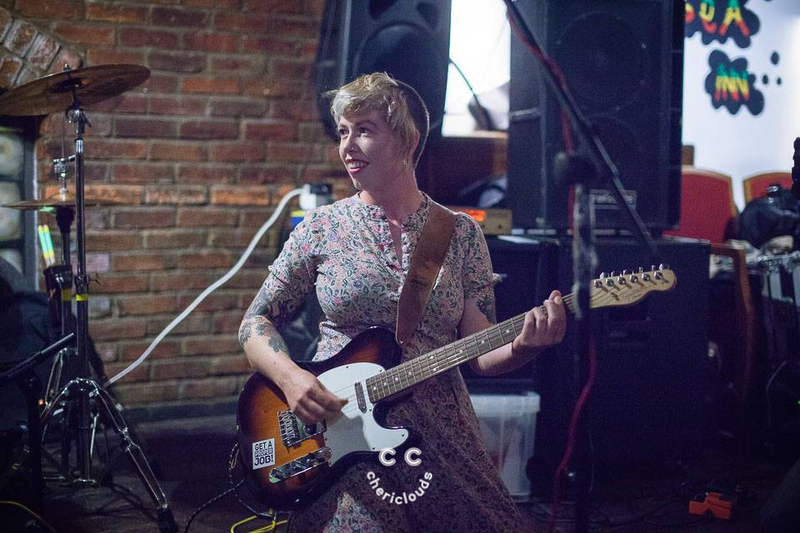 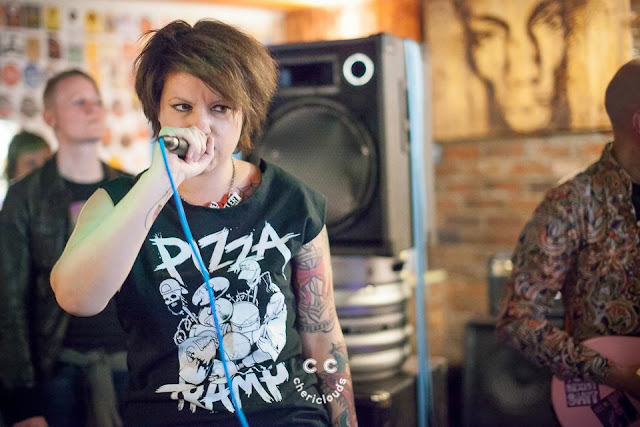 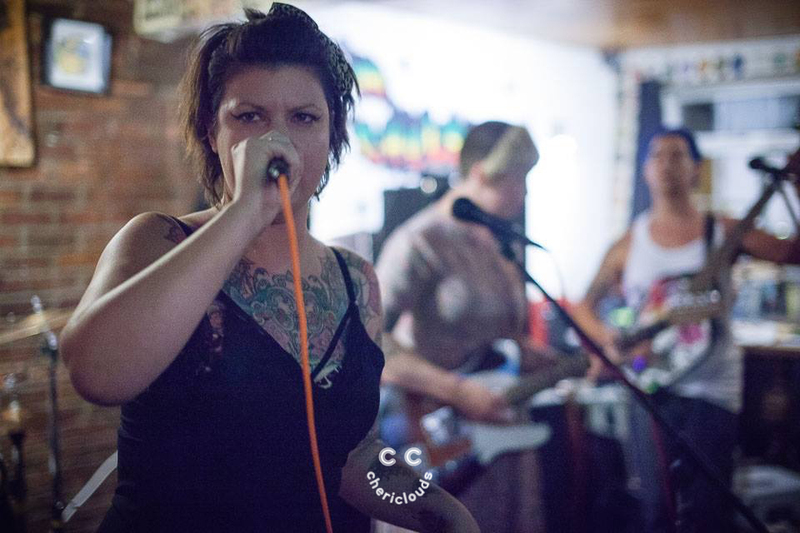 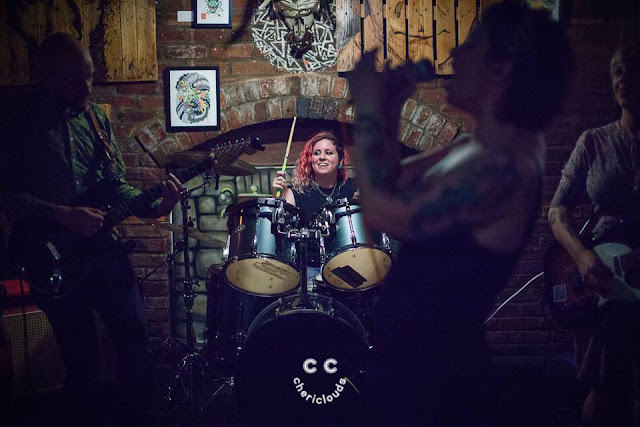 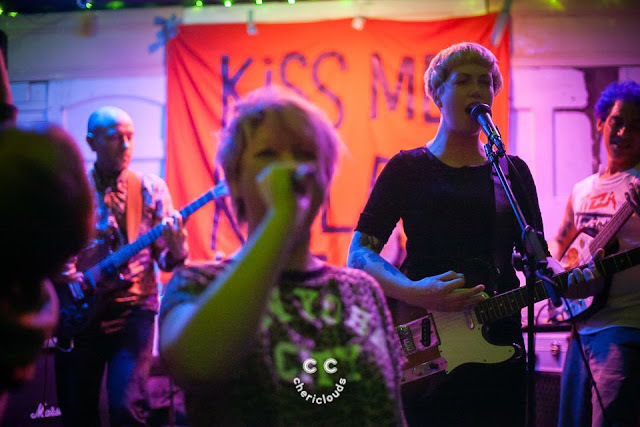 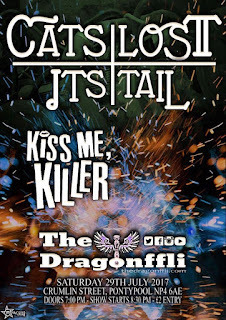 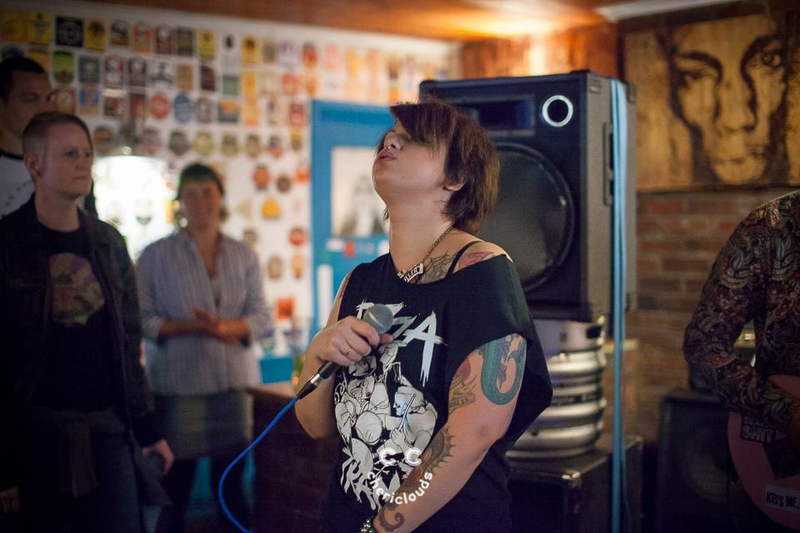 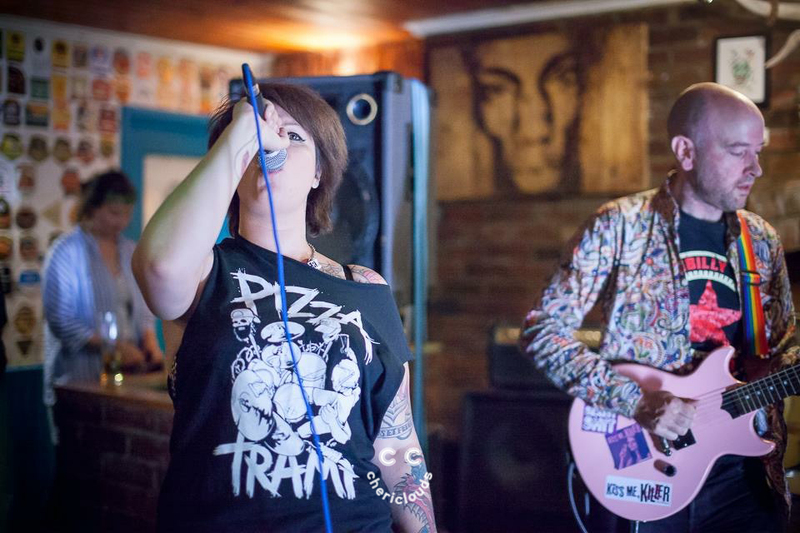 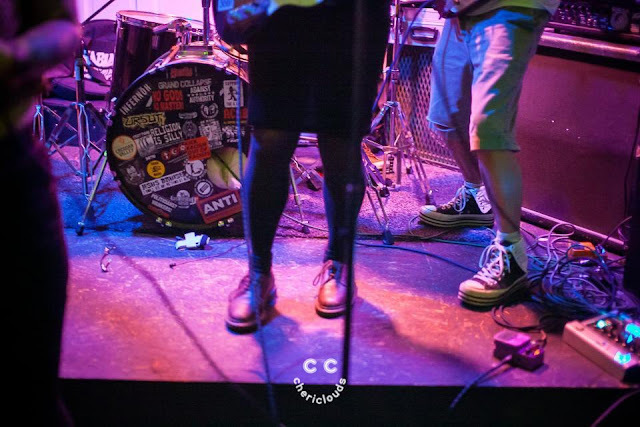 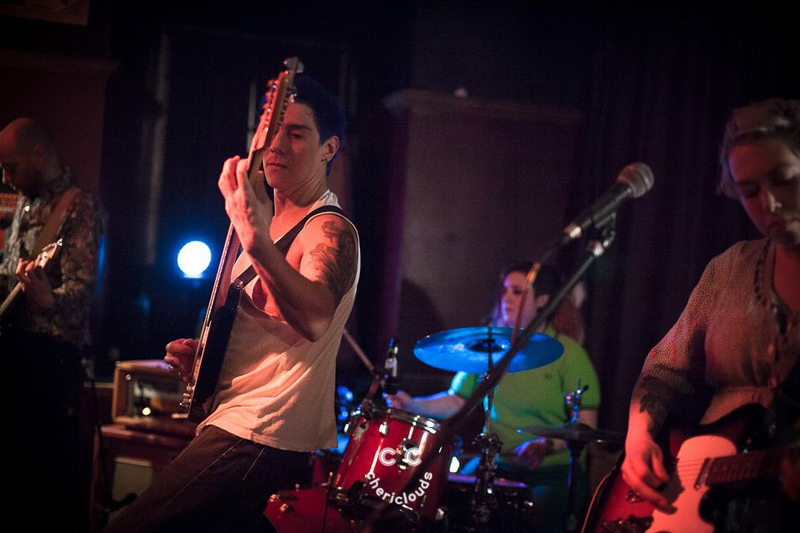 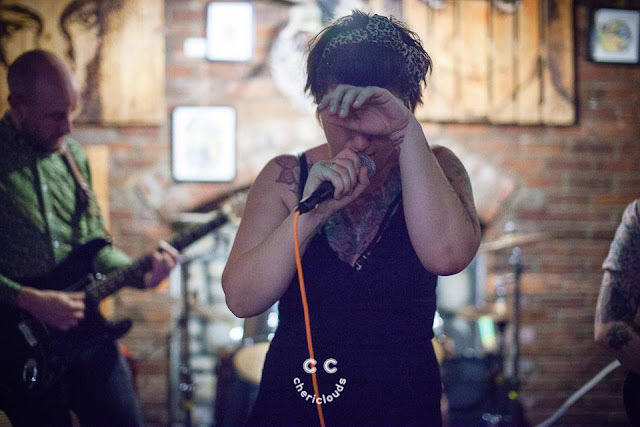 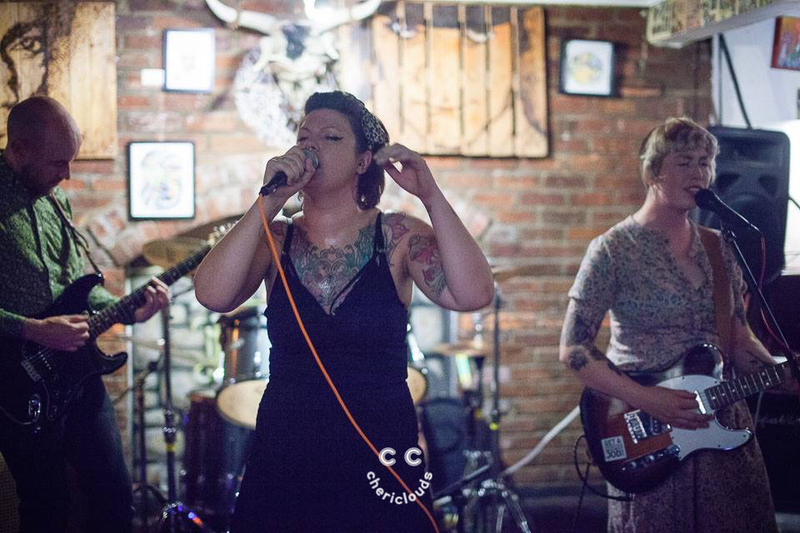 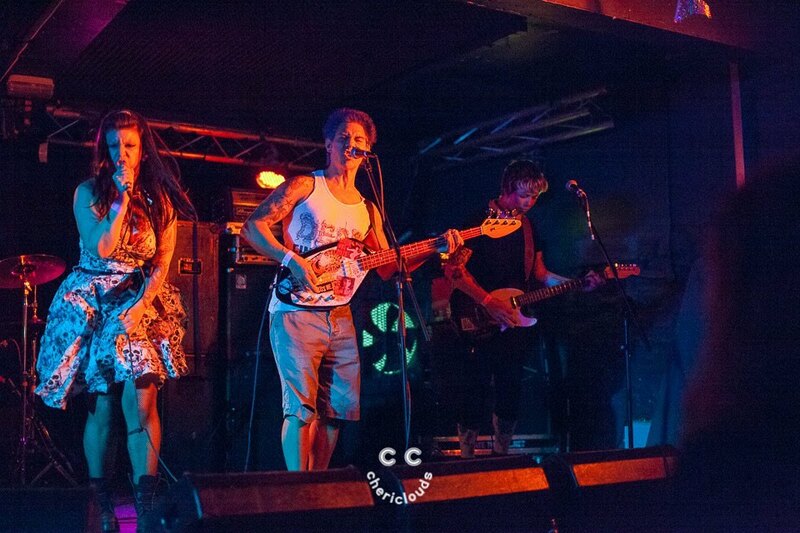 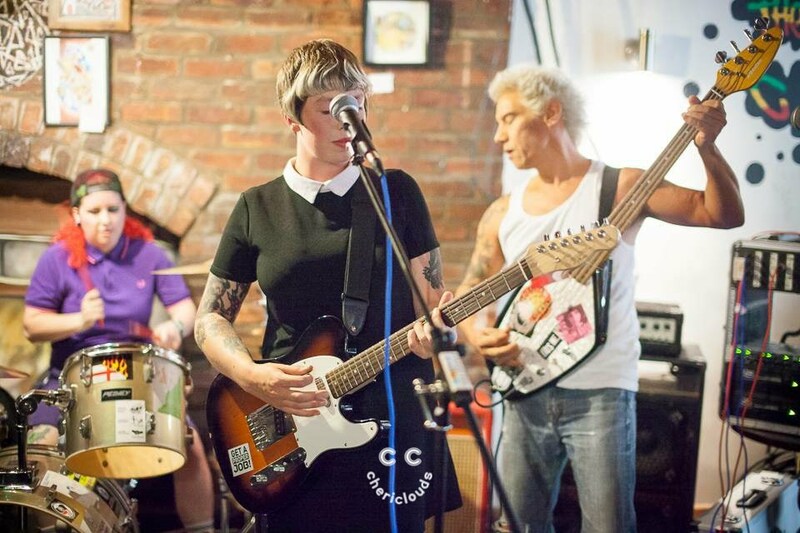 What an incredible year Kiss Me, Killer have had since their first gig in February 2017 at The Chelsea Inn, in Bristol and hosted by Carnival Punks. I'm a lucky alien who has had a wonderful experience taking photos at Kiss Me, Killer gigs this year. 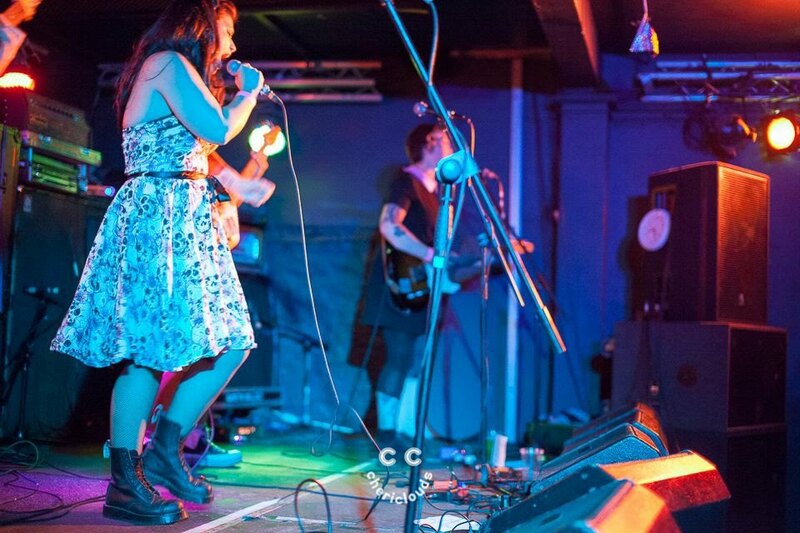 Every show has been so much fun and I have loved every minute. 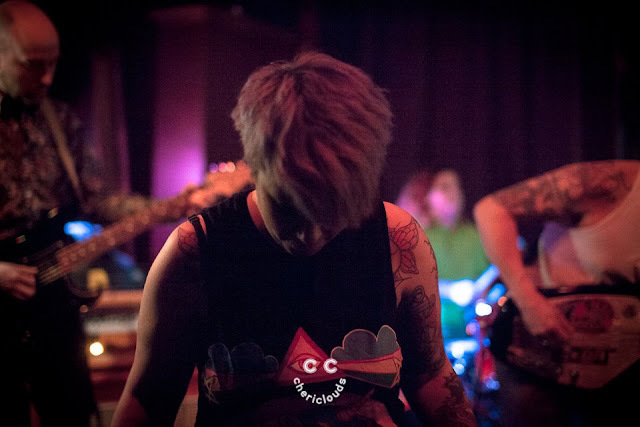 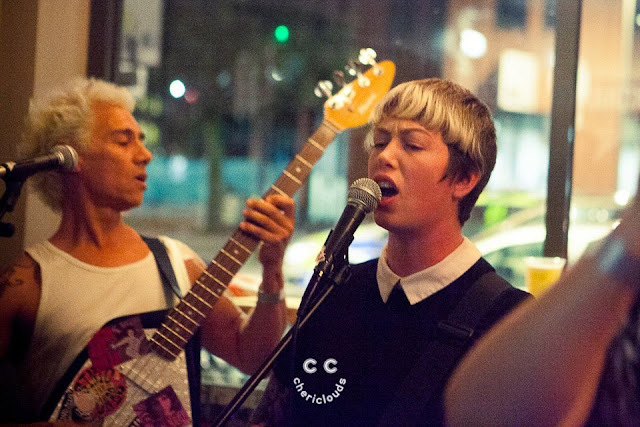 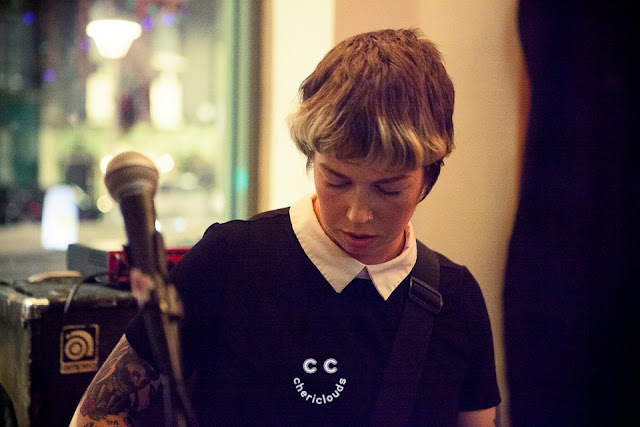 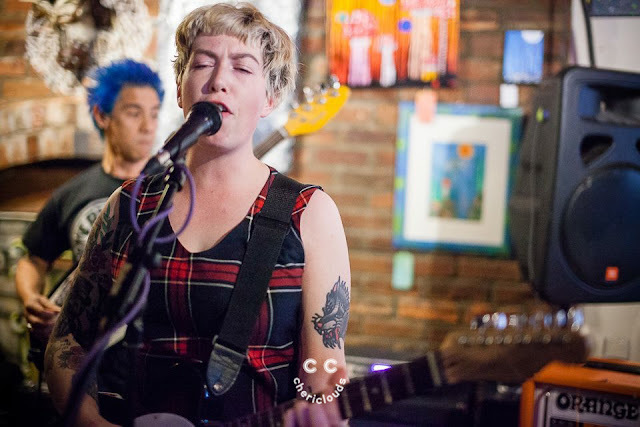 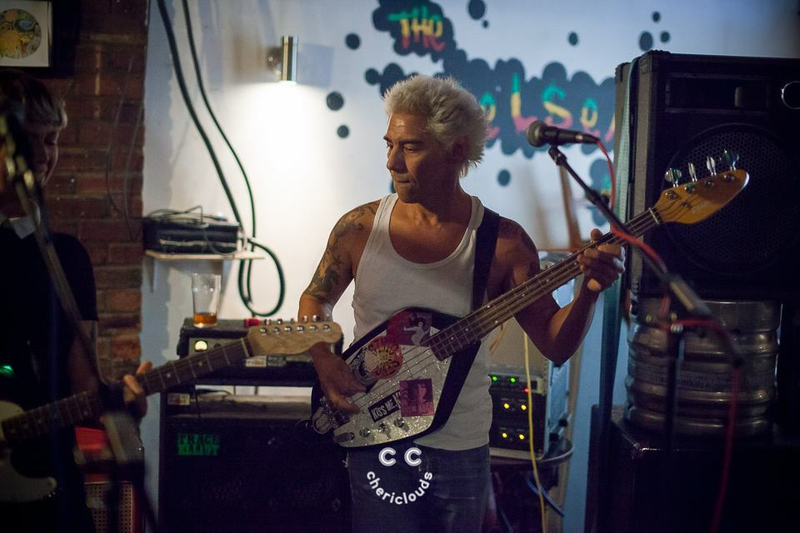 It has been a real adventure so far and I have had the best time ever seeing the band grow into the riot grrrl garage punk explosion they are. 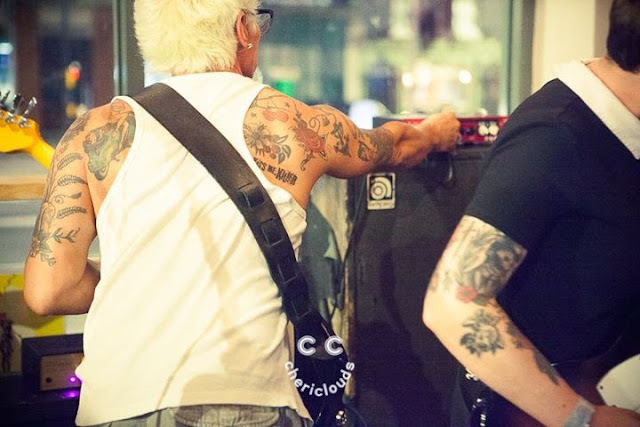 I can never thank KMK enough for letting me come along to every gig, take photos and videos, hang out at band practises and sell their merchandise after the shows. 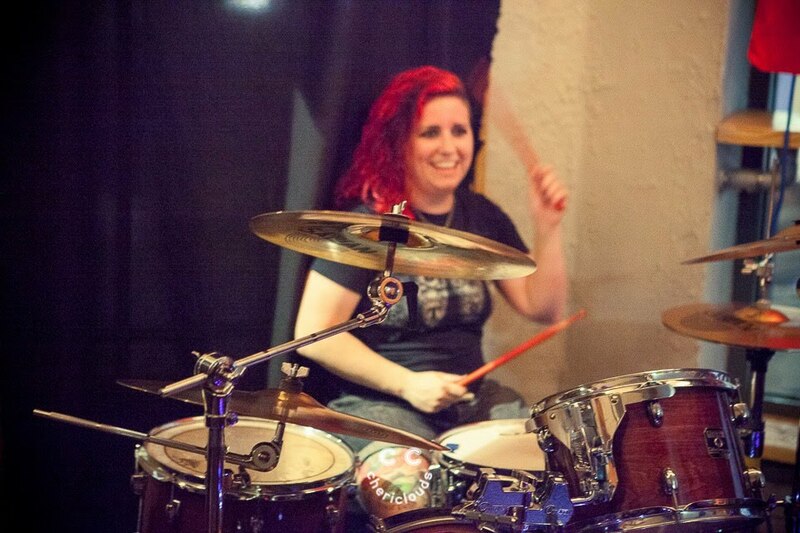 I am so grateful and cannot wait for more KMK fun! 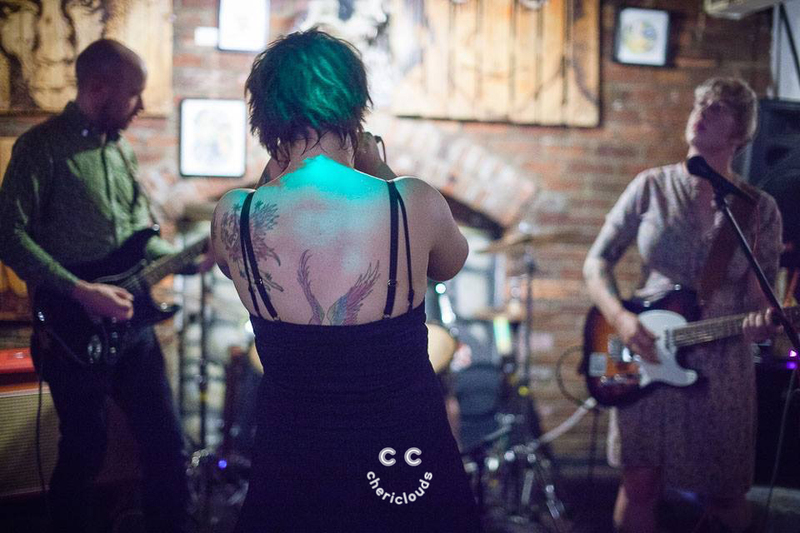 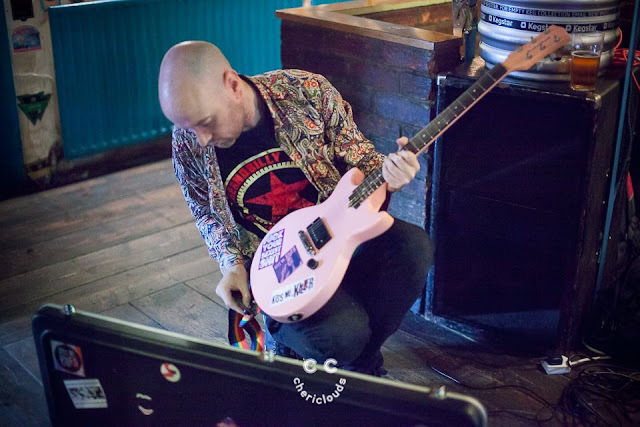 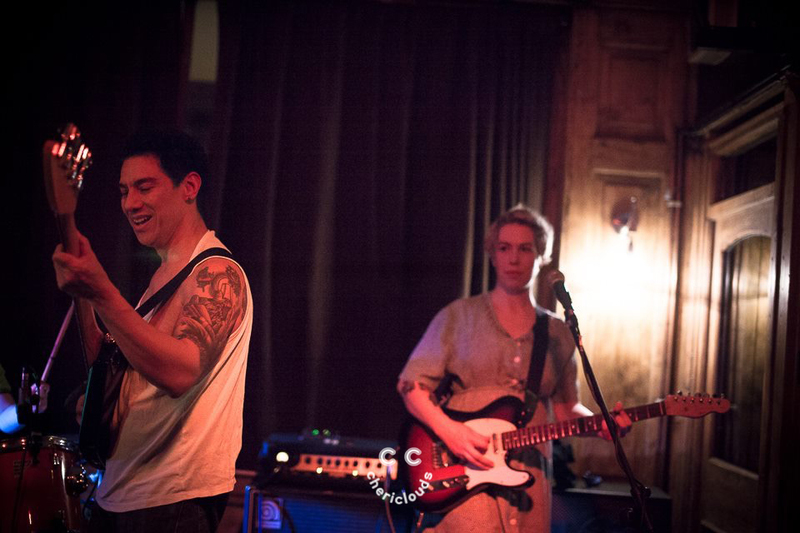 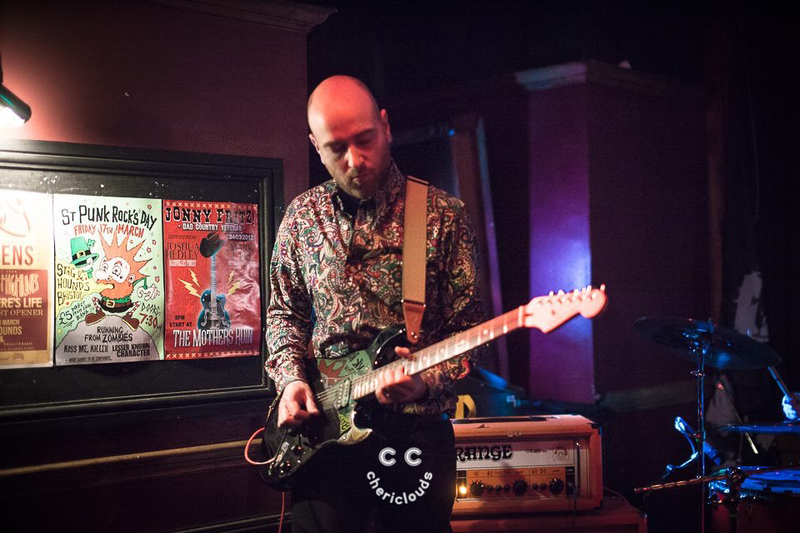 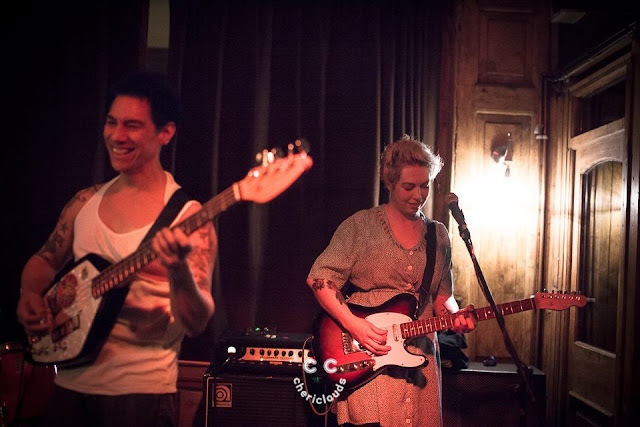 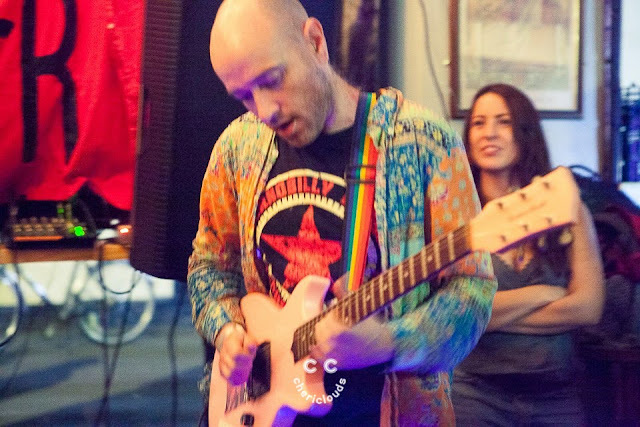 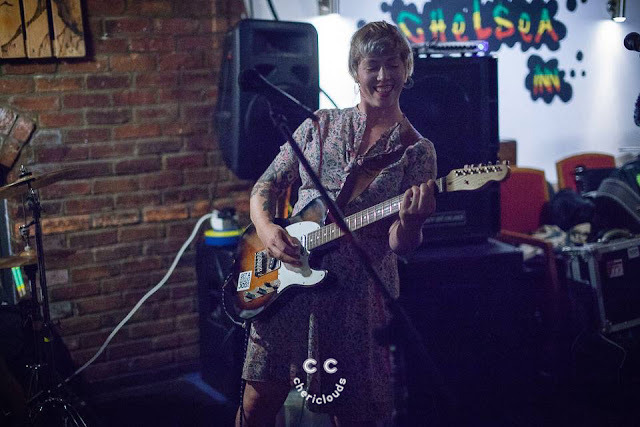 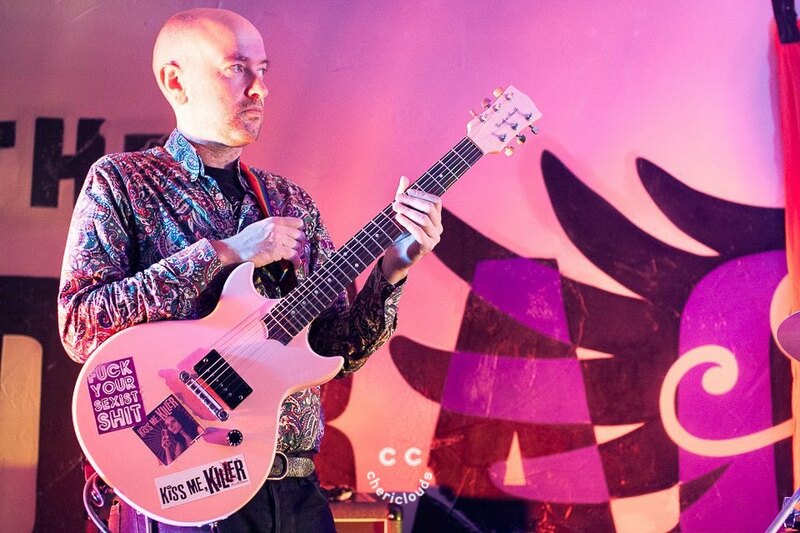 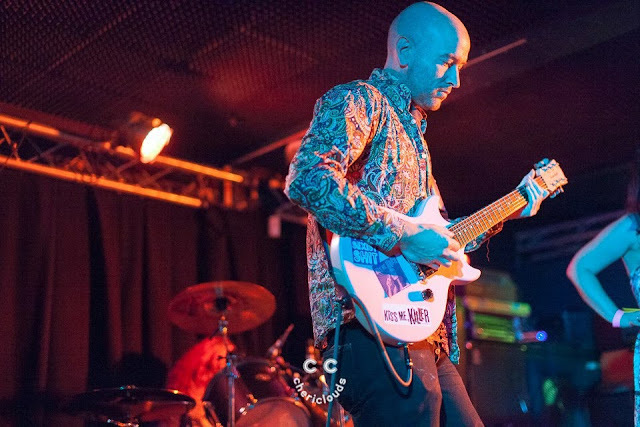 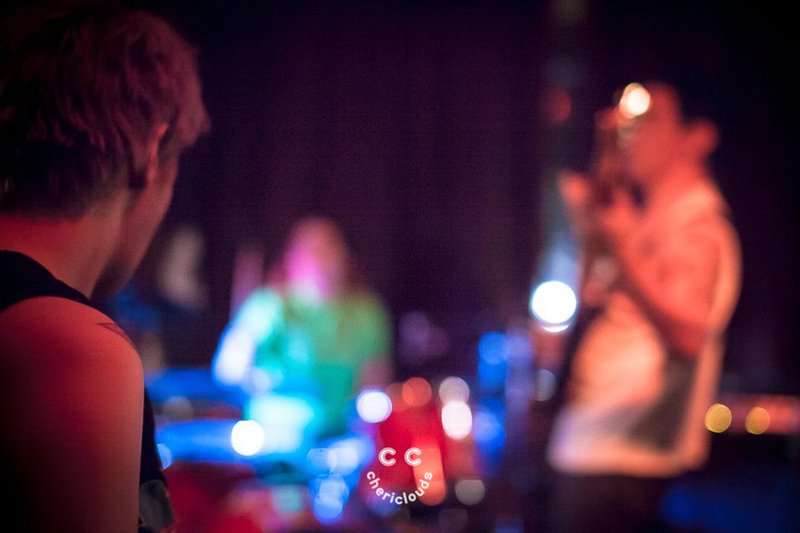 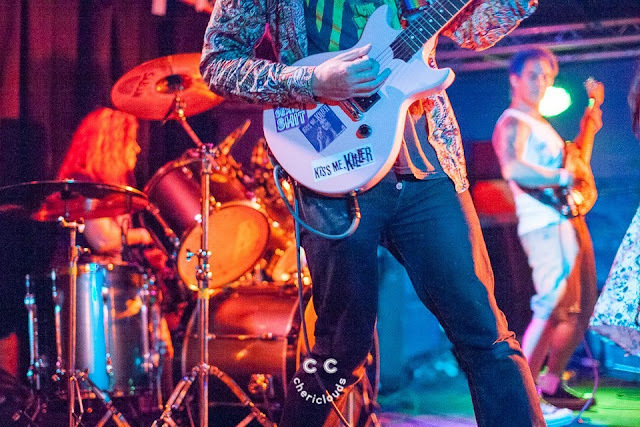 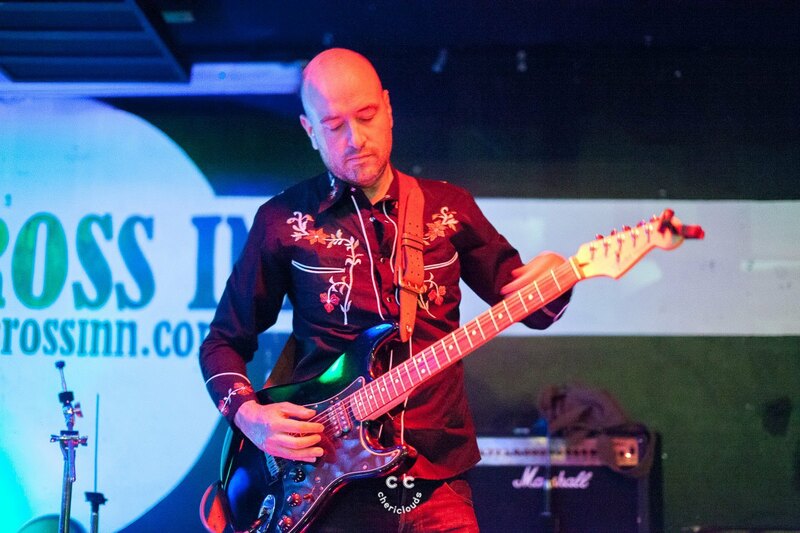 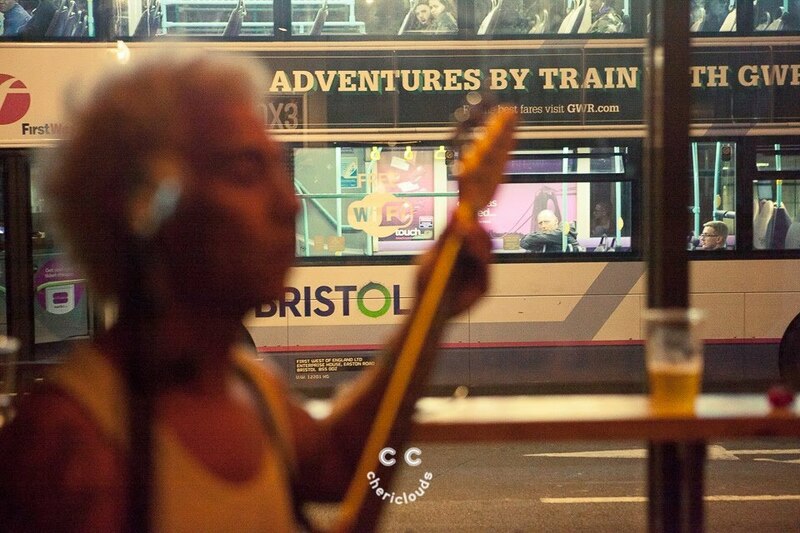 I wanted to collate all of the photos I have taken onto my website, and thank David Hammonds from the band, for passing me his camera that first gig so I could take photos, and because I loved it so much, let me borrow his camera for every other gig. 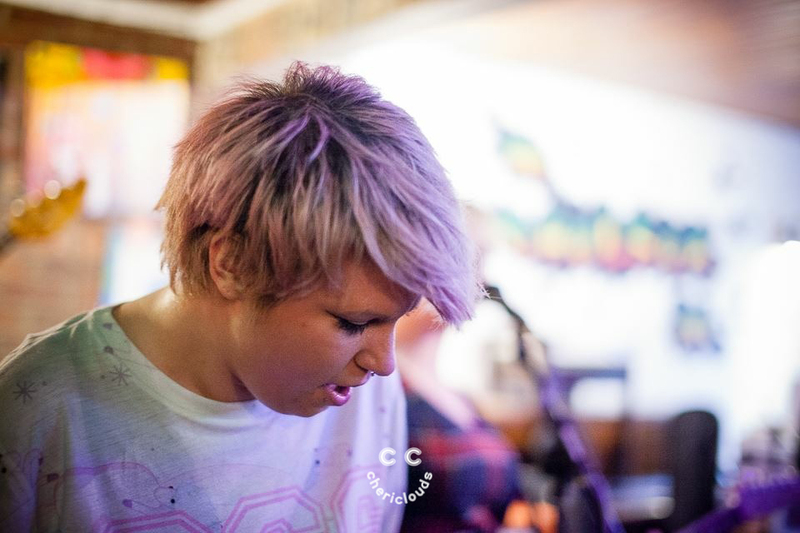 These are some of my favourite photos I have taken with David's camera. 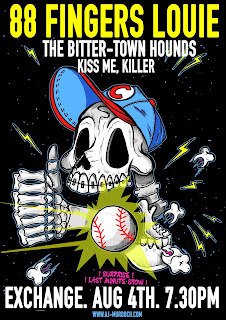 You can also view them on the Kiss Me, Killer Facebook page. 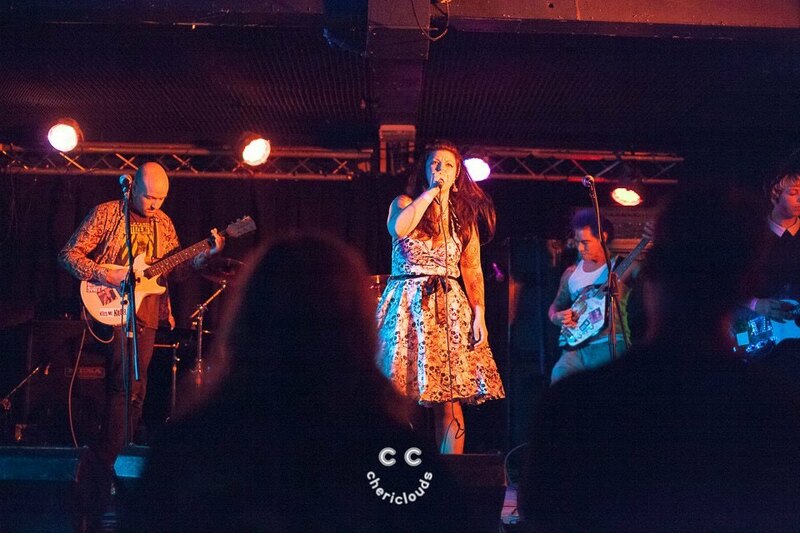 Seeing all my photos from the shows together brings back great memories from this amazing year. 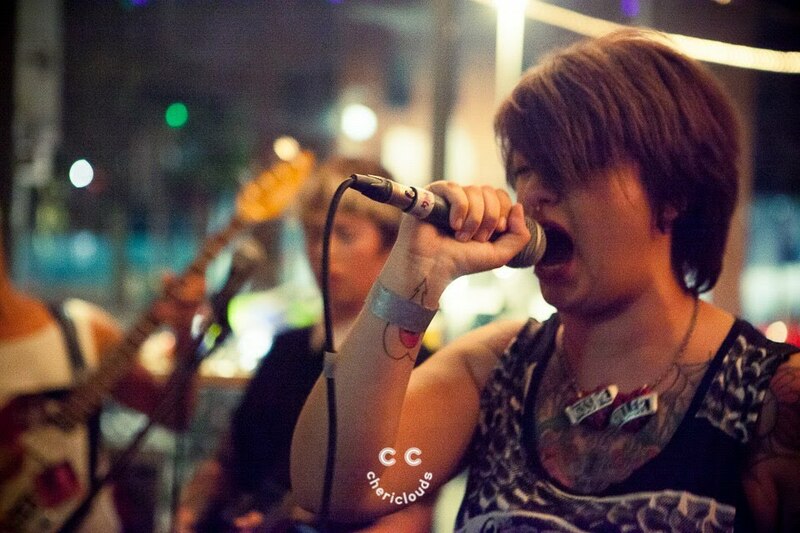 I hope everyone enjoys seeing these as much as I loved taking them. There are also some videos I took so check them out! 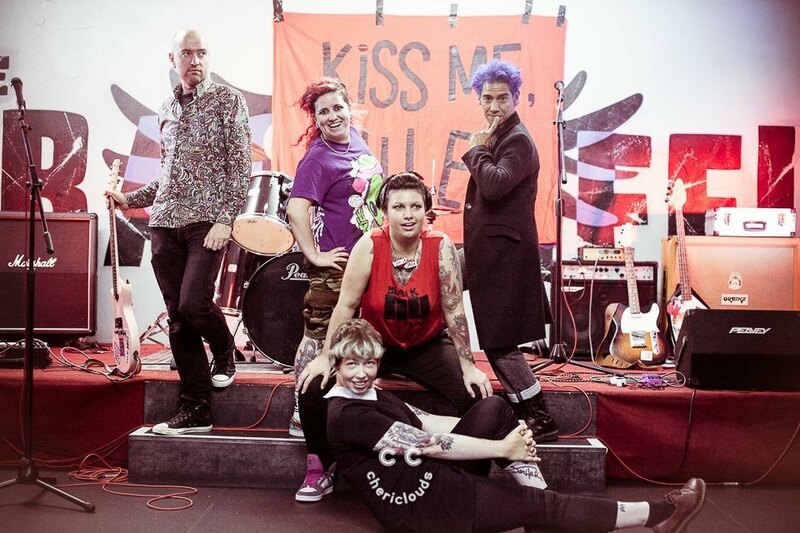 HUGE LOVE to the Kiss Me, Killer gang; Holly, Cat, David, Nat and my beautiful AJ. 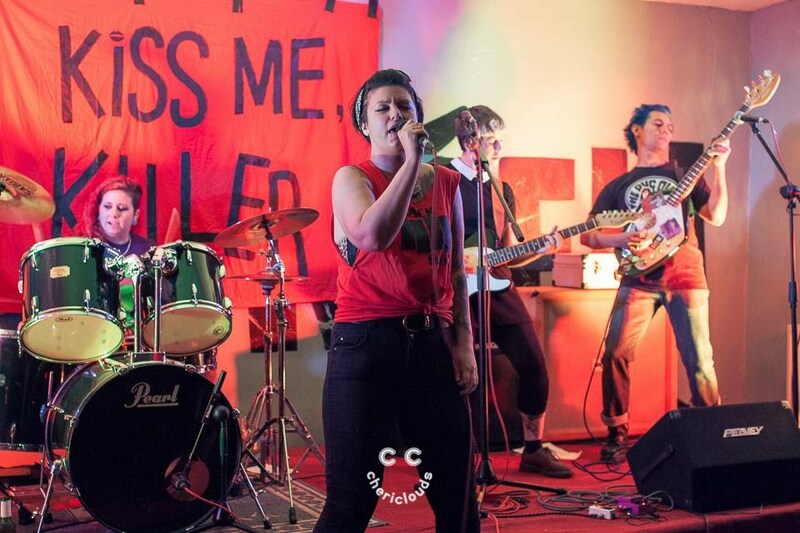 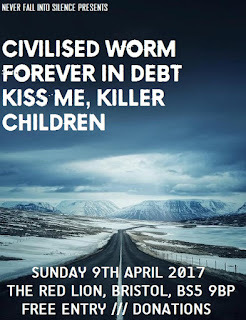 Follow Kiss Me, Killer on the links below and listen to their debut EP, Beware! 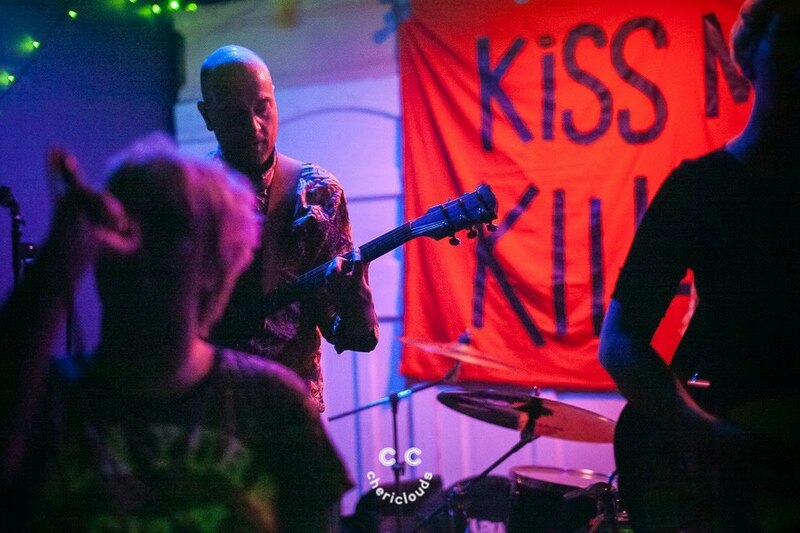 Look out for my next post about Kiss Me, Killer's new EP, Beware! and the unforgettable launch party.